Generally, I am not one to dine in Shopping Mall, except perhaps if it was in the USA and about to go to the cinema, then it would be fast food, however Shanghai certainly raises the bar with a number of brand-named restaurants in many of the higher end Shopping Malls, as was the case this past Friday. 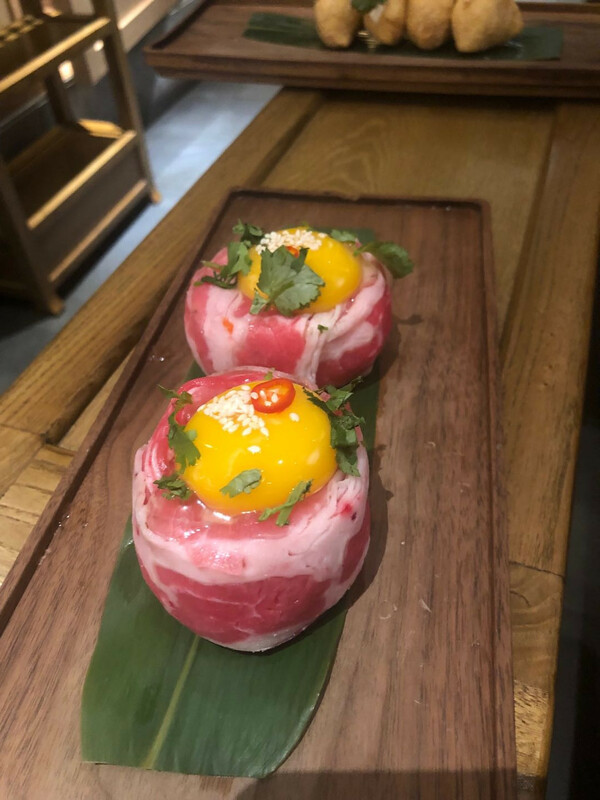 W&S Dafu Yakiniku Bistro operates on the 6th floor of the recently renovated Shui On Plaza, renamed as Xintiandi Plaza, the group behind W&S Dafu Yakiniku Bistro certainly remained true to the term of a Bistro serving moderately priced meals in a modest setting with alcohol. It is said, that Bistros likely developed out of the basement kitchens of Parisian apartments where tenants paid for both room and board. Landlords could supplement their income by opening their kitchen to the paying public. This top floor venue was packed at 19h45 on Friday evening and pleased that I had made a reservation with my regular dining partner, for there were a number of people waiting for a table in the lobby area. We were promptly seated, and menus presented for both food and drinks. 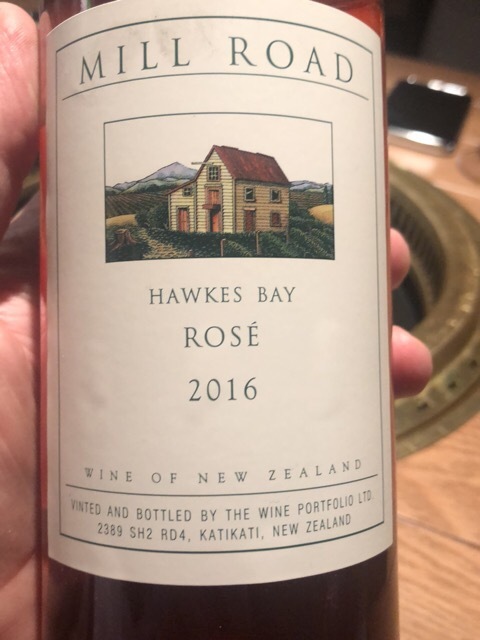 With an order taken for a bottle of Hawkes Bay Rose, at an affordable price of just 238RMB, along with a draft beer at 58RMB. 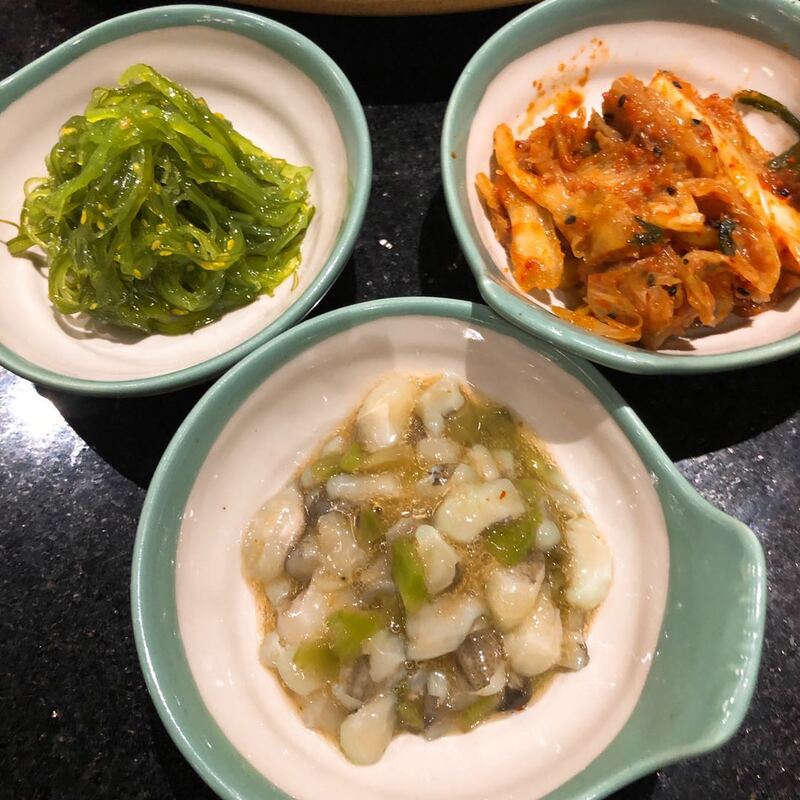 Kimchi Combo – taste was fine, it was kimchi after all, but presentation not as the image portrayed on the glossy menu, the combo was just slopped on a plate so to speak. 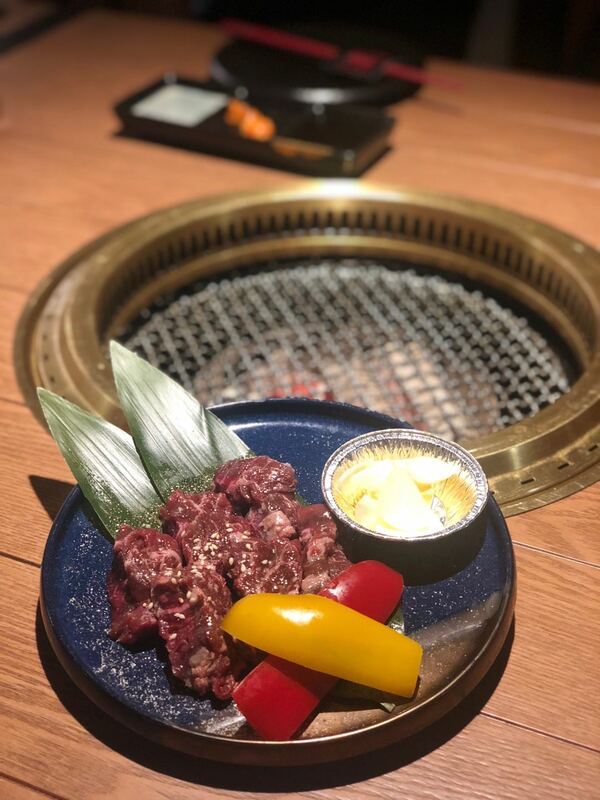 Thick cut outside skirt – this is the only dish that you cooked yourself over the embers that were placed in the centre of the table, unsure whether it was my cooking skills or the quality of the beef, but the beef was amazingly tender and flavoursome. Pork with Miso – this was succulent, not full of fat like the one at Zizzi, that lost their top recently. Red wine Curry Udon – the noodles just right, enjoyed slurping through this dish. 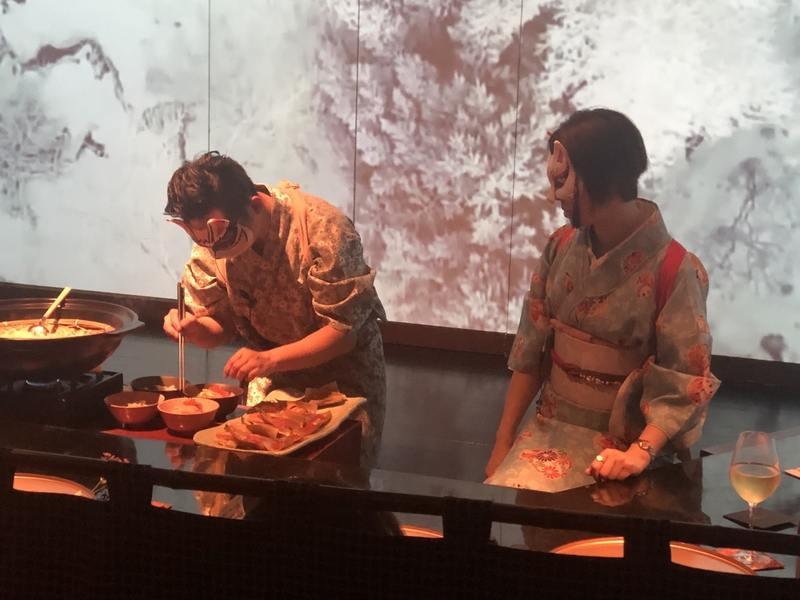 Eel Kamameshi – great presentation with the Eel placed on top of the rice, which was then brought to life with a stock served from a small tea kettle. I can normally sense/taste when Ajinomoto or MSG, has been added to food, and as we know somewhat customary to be used in the majority of Asian cooking, I generally tend to drink copious amounts of green tea with an Asian meal that has seen an overuse of either Ajinomoto or MSG, and have to say this was not the case in any of the dishes served at W&S Dafu Yakiniku Bistro. The service from the waiters was excellent, efficient, smiling and friendly, the damages for two pax came to 593RMB / 296RMB per pax. Would I return, probably not, having said that can absolutely recommend the venue if one were browsing in the Shopping Mall, a plus side is that you don’t come out smelling that you have been BBQing your dinner either. Visited the newly opened Red Lobster this past Saturday following an event in Pudong. 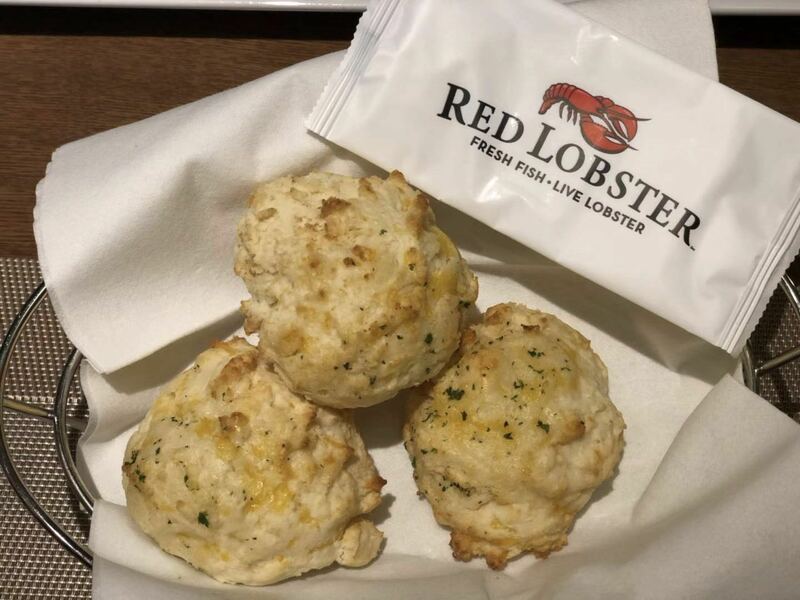 I've been to other Red Lobster's establishments all of which were in the USA, Roswell in Georgia, Times Square NY and Miami in Florida and they were all pretty much of a muchness in the way the operated and offering of food geared to North American tastes, deep fried food, large portions with lots of doggie bags to go, a concept I have never quite understood. 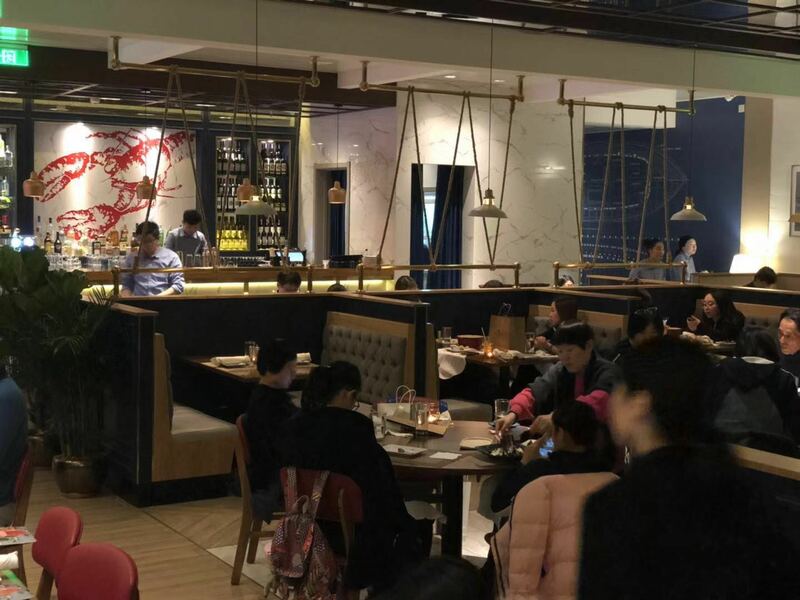 Red Lobster's recently opened incarnation in Shanghai could be viewed as the best one so far, but then again, it’s operated under a JV partnership with a company that does business in Asia that already knows the ropes somewhat. The restaurant is tucked away down a corridor next to the Butchers Club, that had a couple of diners in at 17h30 on Saturday, whereas Red Lobster had plenty of families dining, we were seated in no time, offered the menus and away we go. Started off with some tepid water, so no upselling of fancy waters at Red Lobster ordered two glasses of Santa Mia Sauvignon blanc, great price points and not a bad drop for your average Chilean Sauvignon blanc. 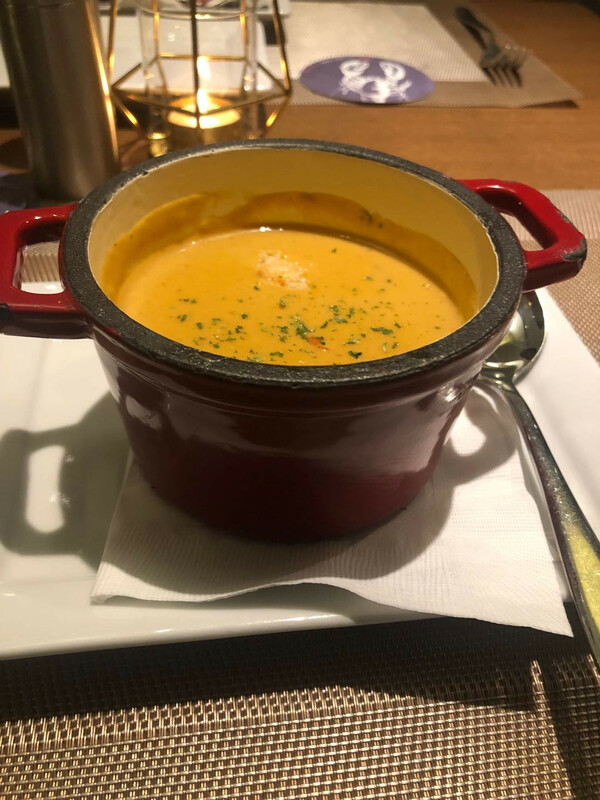 Lobster Bisque: Sadly, lacked punch, to my mind just a creamy soup with bits of lobster inside. 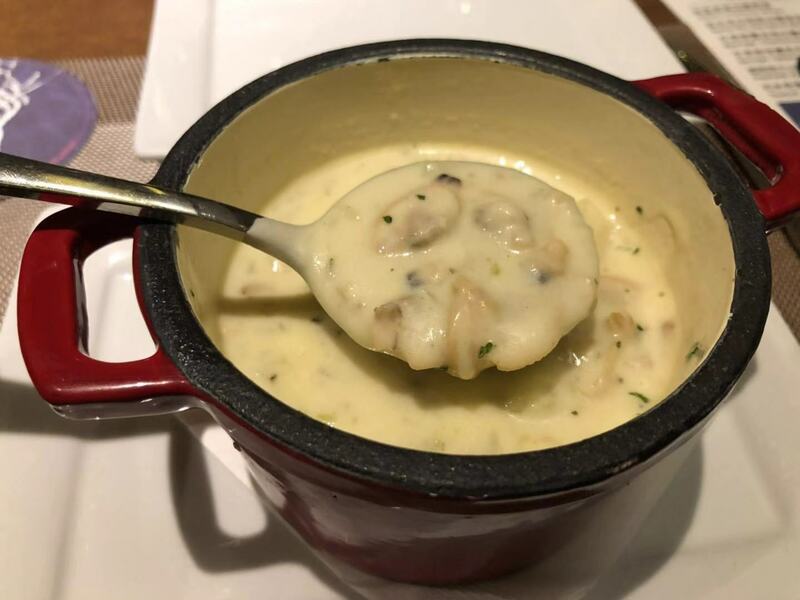 New England Clam Chowder: what can be said actually not a bad drop of soup, I have had better and worse, despite the image on the corporate style colourful printed menu having saltines crackers these were not served as a worldwide standard accompaniment. Golden Calamari: I am glutton for punishment, and on a continual quest for the holy grail of deep-fried calamari, there are only a couple of places in the world that my travels have taken me that I have actually had consistently good calamari, and Red Lobster Shanghai was not one of them, it seemed as if the remnants of the deep fat fryer were shovelled up onto the dish. 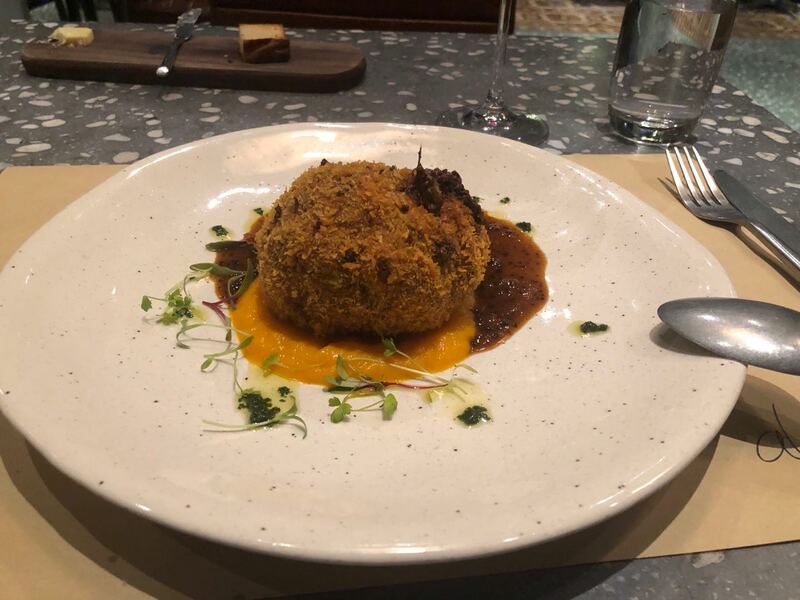 Chesapeake Crab Cake: Blue swimming crab cakes, never knew crab cakes could swim, these non-swimming crab cakes lacked depth, not golden enough nor crisp either rather bland in flavour. 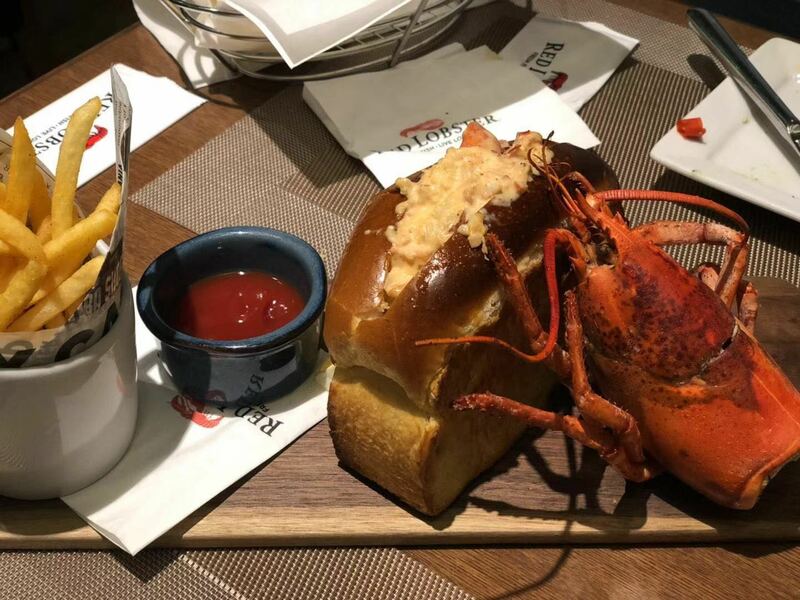 New England Roll: Warm, sweet live lobster meat served in a toasted brioche bun, made from live Maine lobsters. 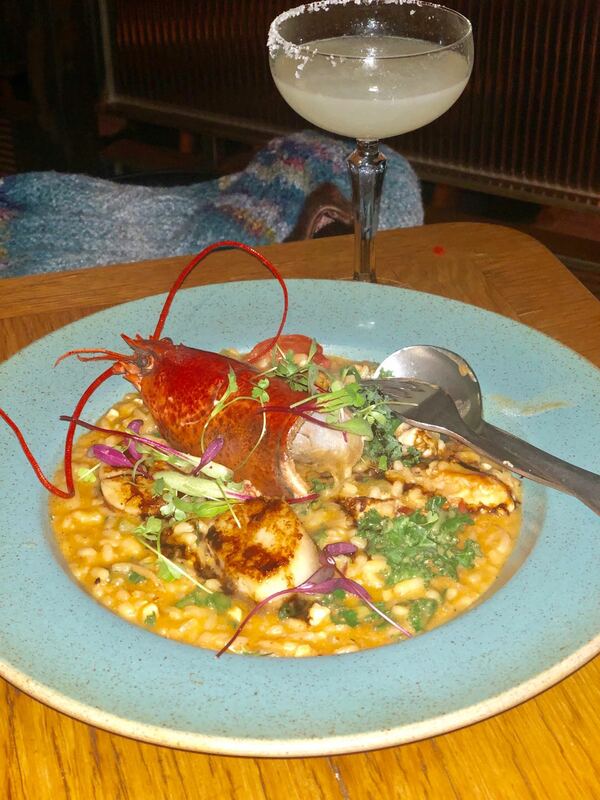 The dish was actually decorated with the carcass of a Spiny lobster part of the Palinuridae family, nothing to do with a clawed lobster species that frequent the waters off of Maine. 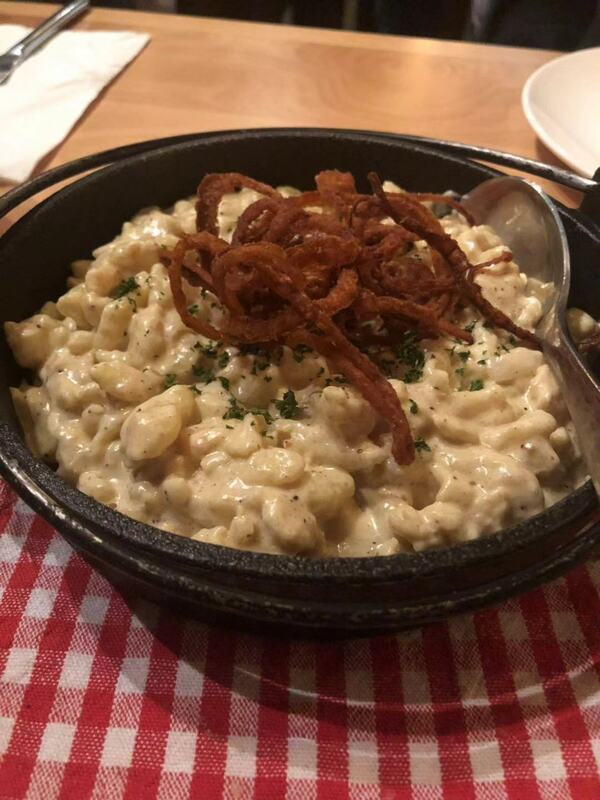 Overall the food ticked the boxes off the cookie cutter style of menu, however, if this food review were a school report three dishes definitely require work and remedial attention needed. The service from the waiters that served the food was friendly and efficient even if the dishes were served out of ordering sequence from the initial order that was placed, the corn biscuits (soda bread) were served the same time as the New England Roll, surely, they should have been served with the soup. The background music was a little too loud for what was supposed to be background music, and certainly the wrong mix of music for the venue and time of the evening. Would I return, definitely not, would I recommend I would have to say yes, just to say you have been to a Red Lobster restaurant, even on the Dark Side of the city, and in a basement shopping mall? I was at a loss where to eat and what to eat this past Lantern festival evening, and being in the neighbourhood of Tai'an Lu, stopped by at Aloe as the lights were on. Aloe is in the old Daga Cafe and Brewpub location on Tai'an Lu, same owners I believe, frankly speaking, they should just have just kept the Brewpub going, for the food sampled on this Lantern festival evening was dreadful. The menu is somewhat limited, as is their range of wines by the glass. 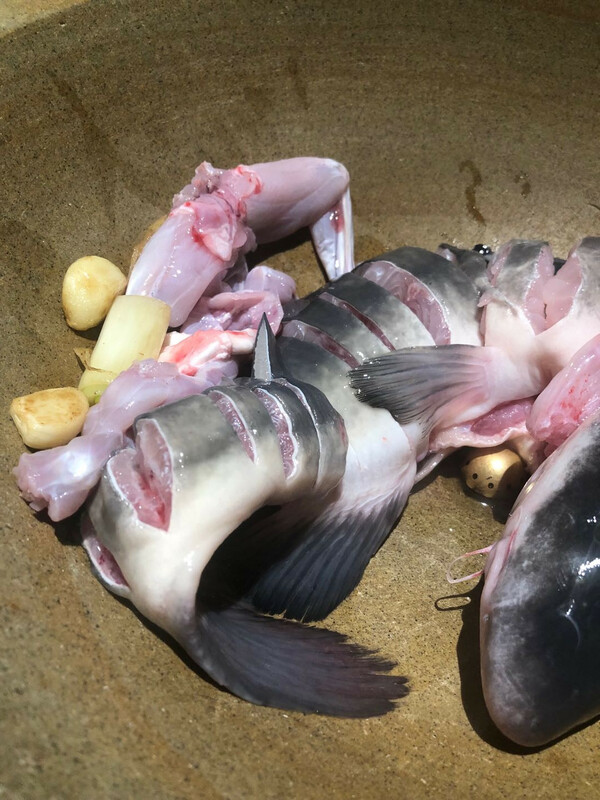 I was the sole diner in the place for the time that I managed to dissect the dishes until I left, I can assure you it certainly felt that I was dissecting the dishes set before me. 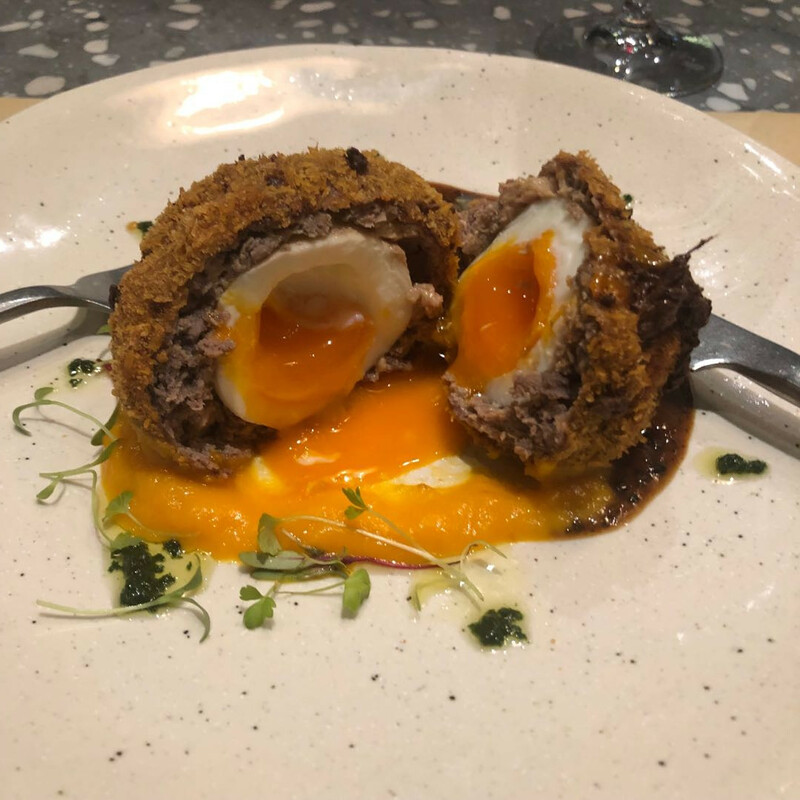 When is a Scotch Egg not a Scotch Egg? Well you can order one at Aloe, the meat surrounding the egg was beef and what tasted like overcooked chicken livers ground together with the beef, I was led to believe this was foie gras, the breadcrumbs surrounding this ball of mush were dark and unlike any breadcrumbs I had seen before, this was served upon a puree of carrot, with dots of mint sauce. From the time of placing the order to the time, it arrived at the table was 25 minutes, obviously, the restaurant had not heard of the phrase, here’s one I made earlier or had mise en place to hand. I must say there was not much else on the menu that took my fancy and chose the daily special of Pork Shank Confit & Teriyaki sauce, which sounded pleasant enough. 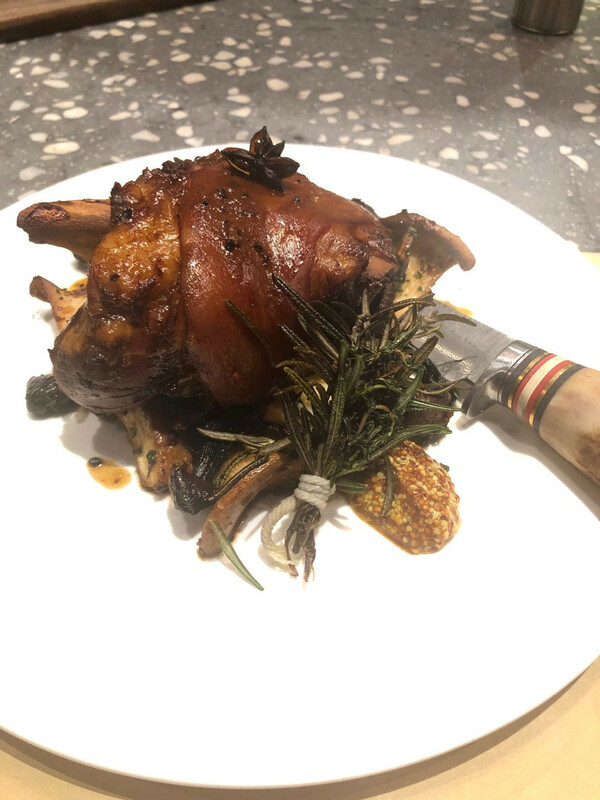 I have eaten Duck Confit before, but never Pork Shank Confit, Confit comes from the French word confire which means literally "to preserve," a confit being any type of food that is cooked slowly over a long period of time as a method of preservation. I have eaten traditional Schweinshaxe or Pork knuckle, so expecting somewhat similar without the crisp skin. What I actually received was a full-on shank full of fat, no taste whatsoever, the dish surrounded by a selection of field mushrooms, a sprig of rosemary, dollop of Dijon mustard and some sort of mashed potato, I picked my way through this, and have got to say this is one of the most unappetising dishes that I have eaten in Shanghai in a long time. I could not finish the dish, and if fact left the majority of it to be taken away, not by me. 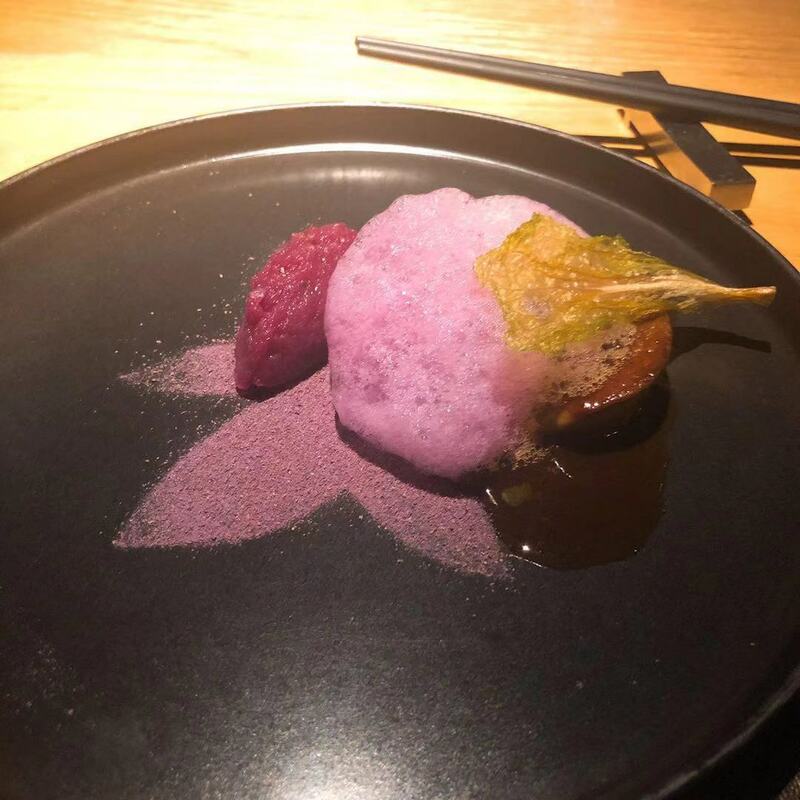 I paid up and left the restaurant after spending just over an hour and twenty minutes in the place was offered a dessert which I declined, damages for a table of one 344RMB. 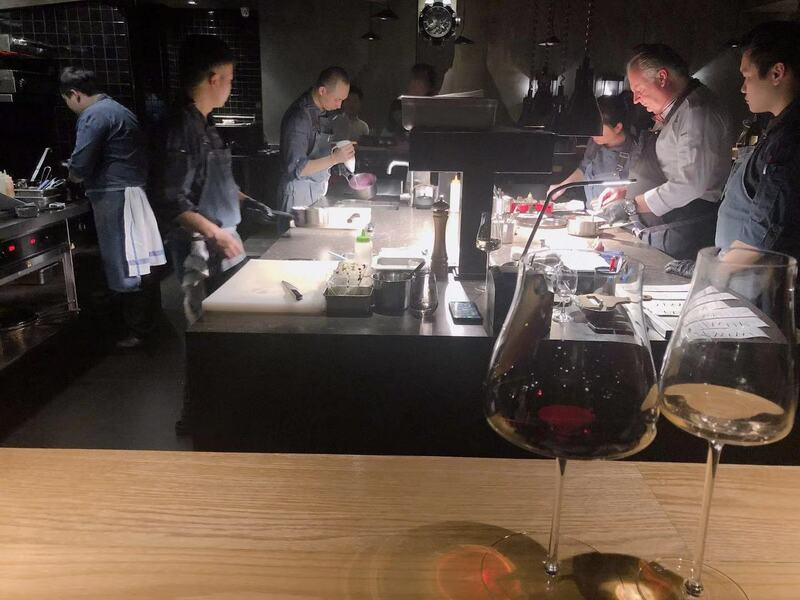 I don’t know how they have the nerve to concoct or think that the dishes on the menu blend together, the only saving grace was the decent glass of Malbec at 58RMB for a standard pour. The word Aloe is a noun, a succulent plant with a rosette of thick tapering leaves and bell-shaped or tubular flowers on long stems, native to the Old World…. 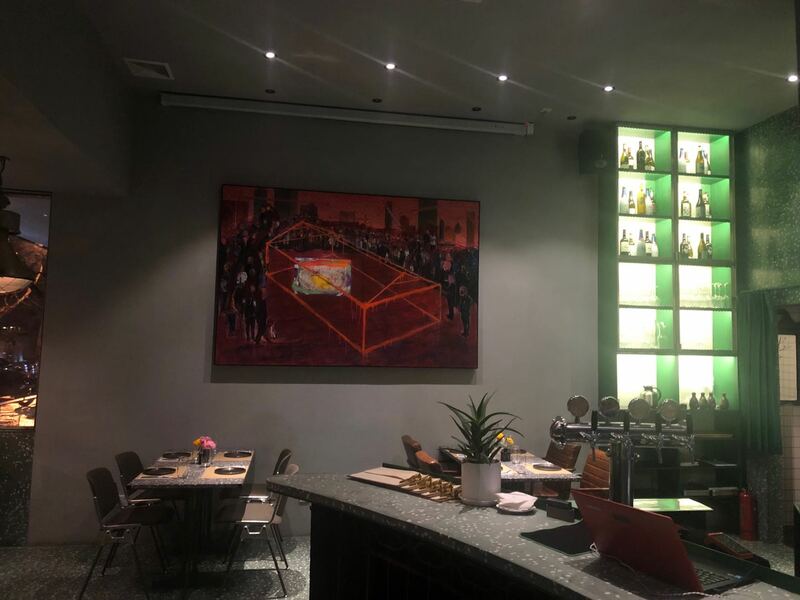 There was nothing succulent about my dining experience at Aloe, lastly, there is a very large painting which hangs upon a wall, the smell from the painting permeates throughout the restaurant and rather off-putting. I was talked into dining at a shopping mall again!!! 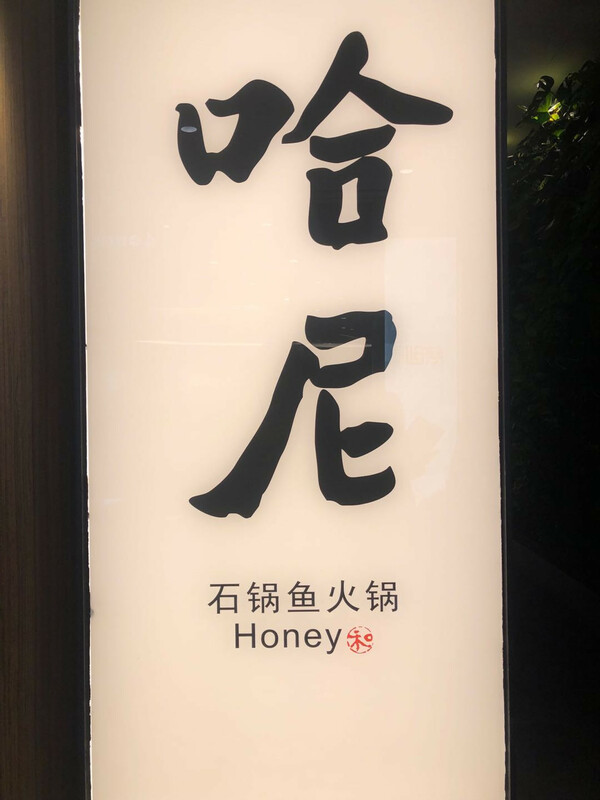 At a venue called Honey on the 4th floor of Raffles City Changning, there were no Bears present nor an actual menu per se, everything was conducted via a QR code, and in Chinese, I was at the mercy of my learned dining partners for the evening. The style of dining is akin to a hotpot, for those that know me, will know how much I loathe this form of dining, and for so many reasons which I shan’t go into here. 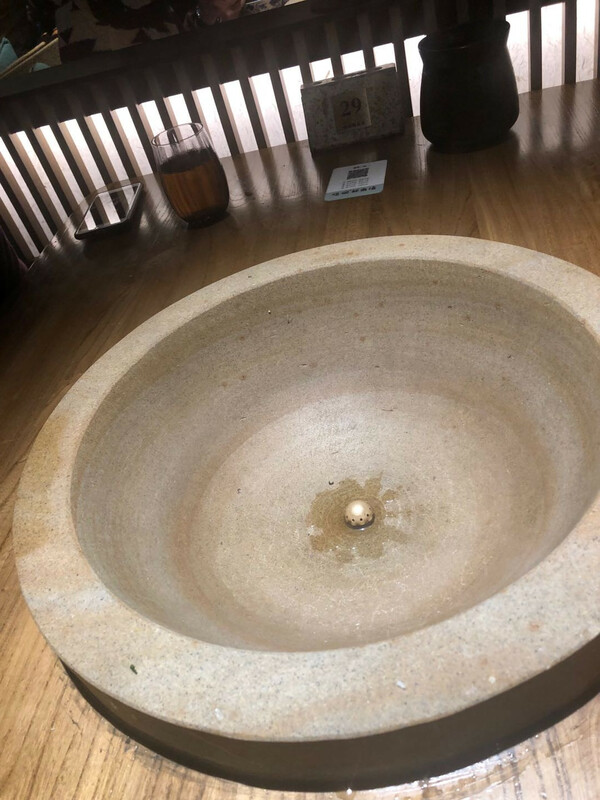 Having said that I must confess that this was a whole new experience, one is seated at a table for four, with large looking ceramic font, this Globaltraveller was about to be baptised into another Chinese culinary dining adventure. The following dishes were ordered. 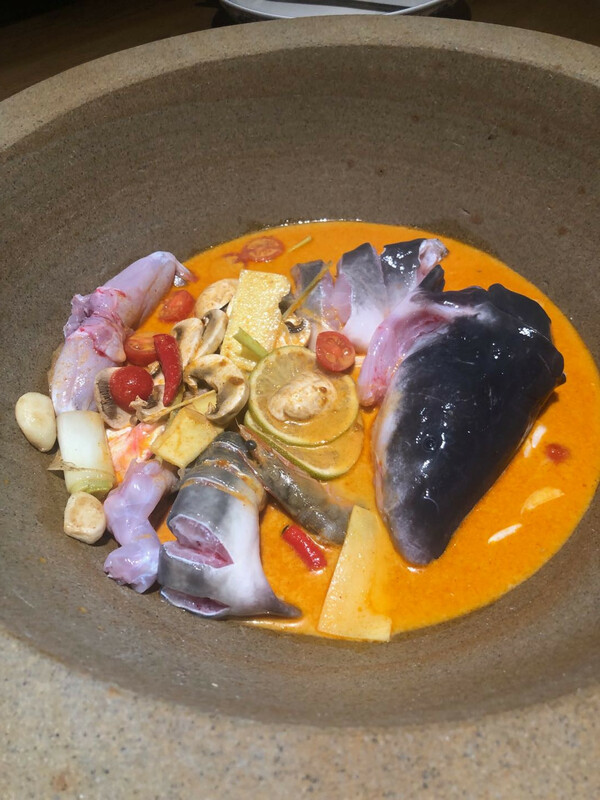 along with a Tom Yum broth, in which to poach the food, plus a whole range of condiments to mix ones’ personal dip. We decided to forego the Seven big mushroom eight bacteria selection though. I slurped my way through the fish and frogs, and delicate Tom Yum broth, then the charming server assisted to mix the Hani fattened beef, which composed of thinly shredded beef, topped off with a raw egg yolk that's then beaten/whipped together, one then stirs this into the font and waits several minutes before the very stringy meat unfurls and ends up being cooked in the broth, seeing how simple this was I followed suit by adding the Fish Seed bag’s, and Hand beating fresh shrimp slippery, and my, the latter were indeed slippery as I lost mine in what was becoming a murky broth, and finally the vegetables were dunked and wilted before us. Between the three of us, we had five bottles of beer, the damages came to 457RMB in total and overall must say the staff were friendly and very accommodating. 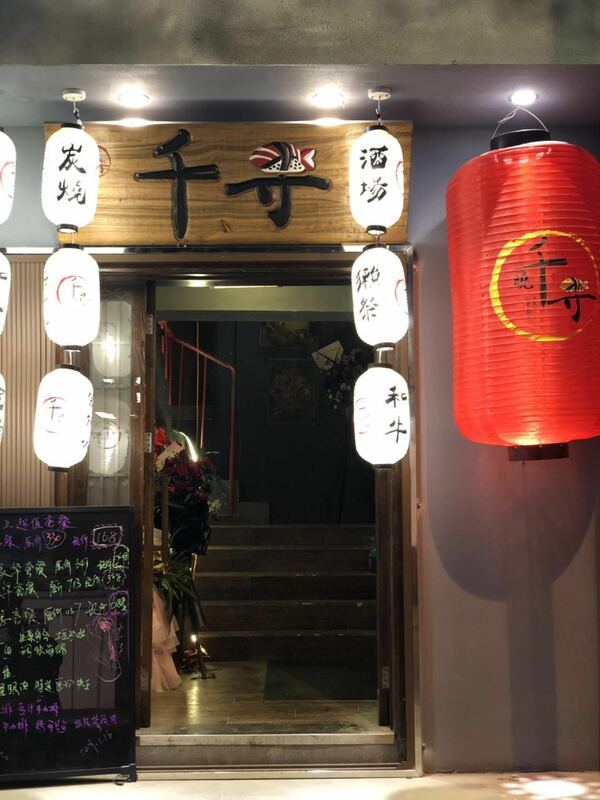 The experience, well different and would recommend just for the experience alone, but in my case, the dunking of food in a communal broth is over for this Spring festival. The toilet facilities are located down a catacomb of corridors in the mall, and certainly left a lot to be desired, there weren’t many straight shooters using the facilities on a Sunday evening. I was led to an alleyway by my regular dining partner that separates Panyu Lu and Fahuazhen Lu and entered into what I thought to be a Japanese restaurant, with hostesses wearing masks and dressed in Kimono’s, which I thought to be most bizarre, but hey, I am game for anything these days, this was no regular Shanghai Japanese restaurant for this was Anthologia a world of theatre style dining and when I say theatre, not like anything else I have seen before. Certainly not like the dinner theatre shows one sees in Las Vegas with scantily clad diva’s, or perhaps Studio 54 in New York when Sally Bowles was last seen playing in Cabaret. Once inside, you are seated in pairs on tired seating facing a large screen, that has a rolling montage of nature scenes of flora and fauna, along with both animals, fish and crustaceans, I was imagining to myself and now for something completely different and half expecting to see a large foot from Monty Python come down. 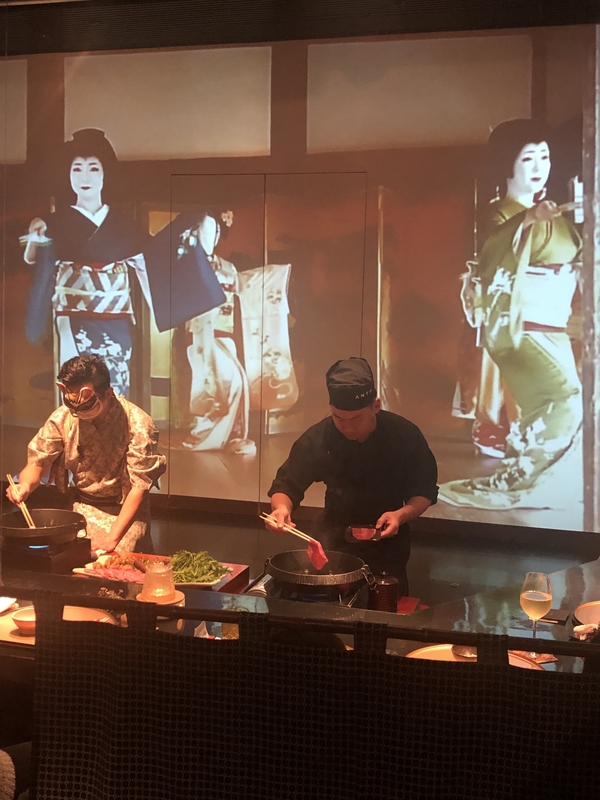 What I was in for, was a seven-course dinner from the land and sea, hence the images rolling on the large screen, along with less than coordinated clips of music ranging from Blues and Jazz, which didn’t quite work with the ebb and flow of the montage. Before getting on to the food menu, I wanted to order some wine, a list is presented and in typical fashion, the words are uttered méiyŏu for this bottle and that bottle as well….As luck would have it there was another list presented and yes we have this one, and that one as well, we opted for a bottle of Sancerre, and surprisingly not costing an arm and a leg either. 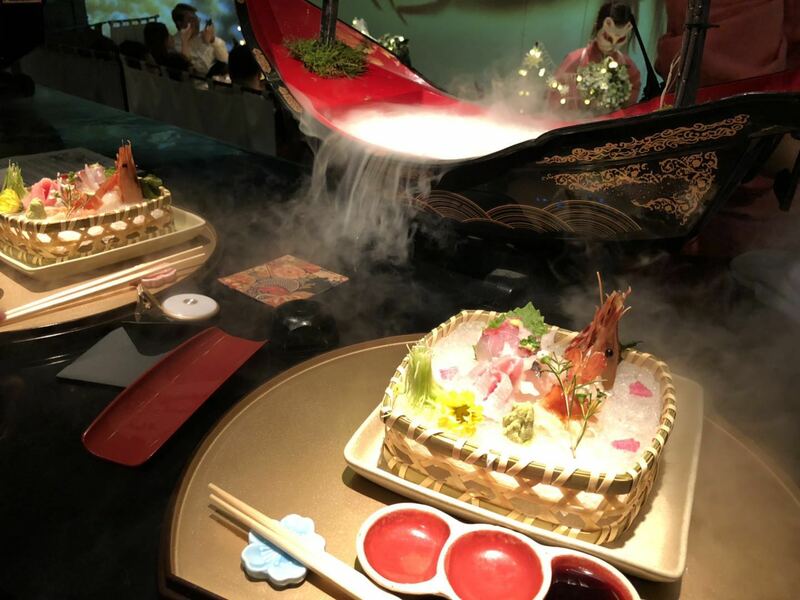 Two Ways of enjoying to eat prawn’s New Year’s style. Which was a shrimp and Tofu ball served in a clear shrimp broth and delicate in both texture and flavour. Seasonal selection of Sashimi: Tuna, Yellow Jack, Pinna Shell, Bream and Botan Shrimp. Whole white Radish which has been roasted for three hours, served with two types of miso glaze. 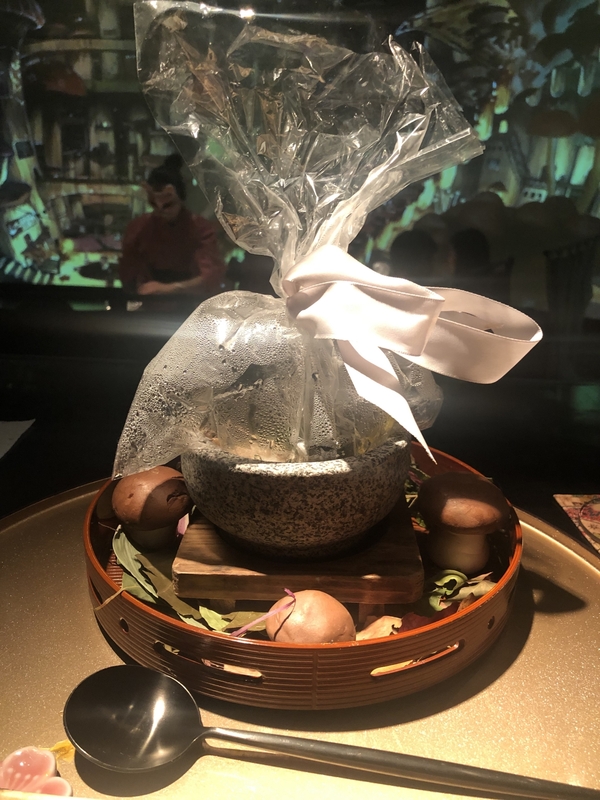 Halibut poached in a mushroom broth, and served in a clear wrap bag, this is opened in front of you and the woody fragrance from the assorted fungi fills the air, the halibut is succulent and tender and melts in your mouth. Japanese style assorted seafood and rice, a combination of hairy crab rice, octopus, monkfish liver and scallops. 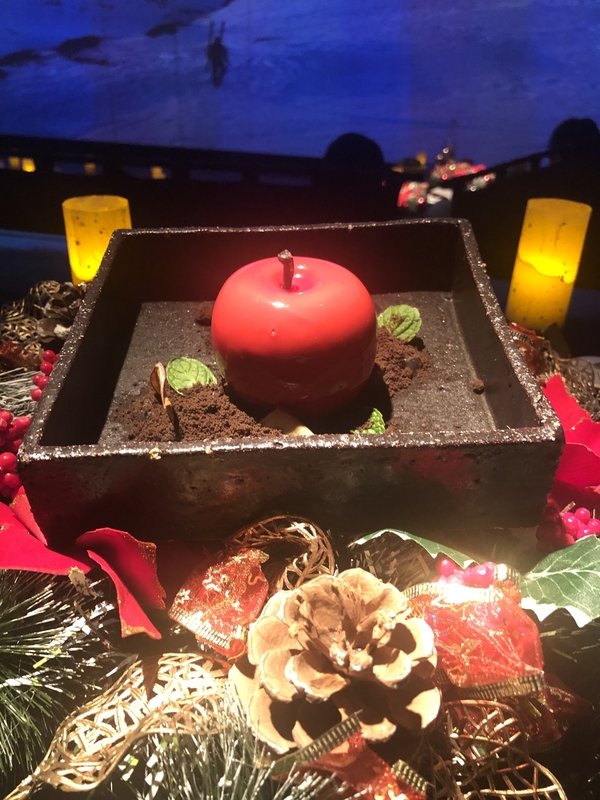 To finish off an Apple, well it looks like an Apple on the outside, but inside is a gooey mix of sweetness of mixed fruit mousse. The text alone cannot fully describe the experience of the evening, and hopefully, the attached images will somewhat demonstrate the uniqueness of the venue. 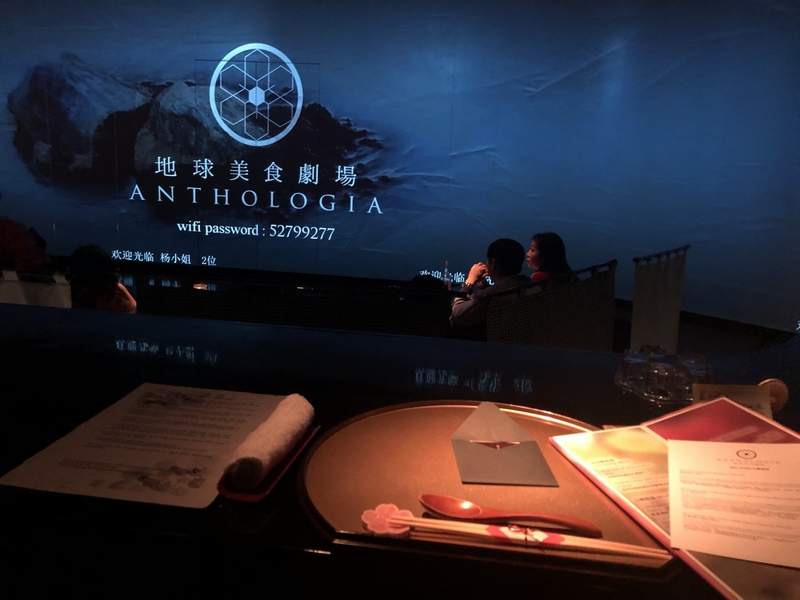 Over the years in Shanghai, I have had dinner at Ultra Violet, Tai An Table and now Anthologia, all at different price points all a little theatrical, but all different, if I were to go back to any of them with a group of people, I would have to say it would be Anthologia hands down. Dinner starts promptly at 19h00, and over by about 21h30 towards the end of the evening for anyone celebrating a birthday or anniversary their names are posted on large screen, and names read out, which I found to be a bit kitsch. 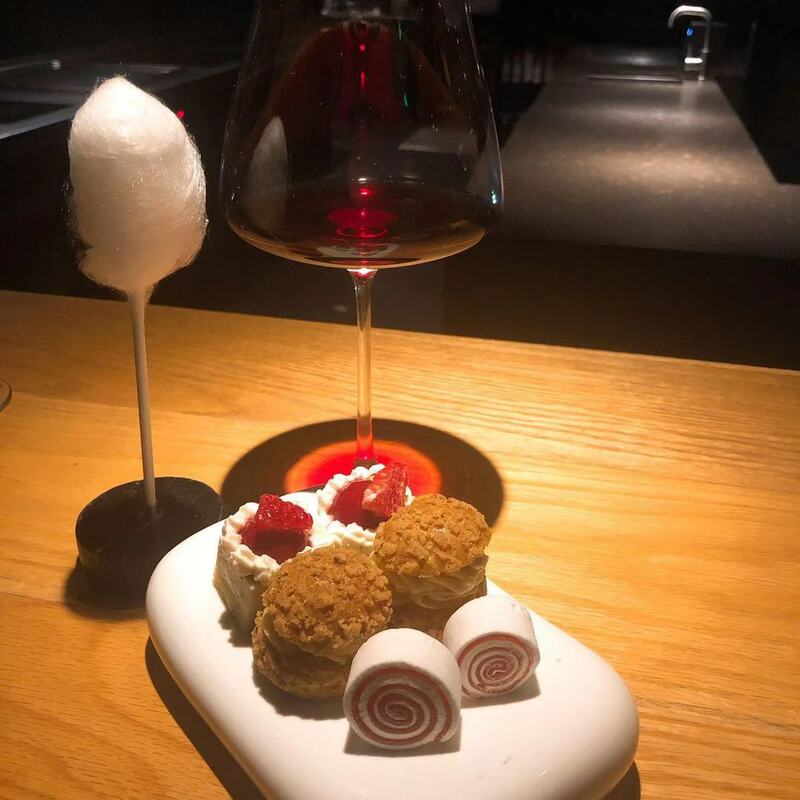 The service was impeccable, really could not fault it, the food was above average for a Japanese style venue, priced at 980RMB per person excluding the wine, which came to 550RMB, there were less expensive French white wines starting from 290RMB. I live not far from the corner of Wukang Lu and Anfu Lu and have always intrigued when I pass by and see hordes of people queuing up for a table at RAC Bar, once they have a table then they just sit posing for a selfie after selfie, fiddling with their food. I thought I would take advantage of the Spring Festival break and pass by on the off chance after work and grab a bite to eat, I was in luck, not a gimbal to be seen on a Saturday evening. Was able to get a seat to myself on one of the benches close to the bar, dislike “the see me in the window seating” greeted by the waiter, and promptly ordered a thirst-quenching Workers Pale Ale to start off with, whilst looking over the menu, along with a mini blackboard that is presented in French, and questioned do you understand French? 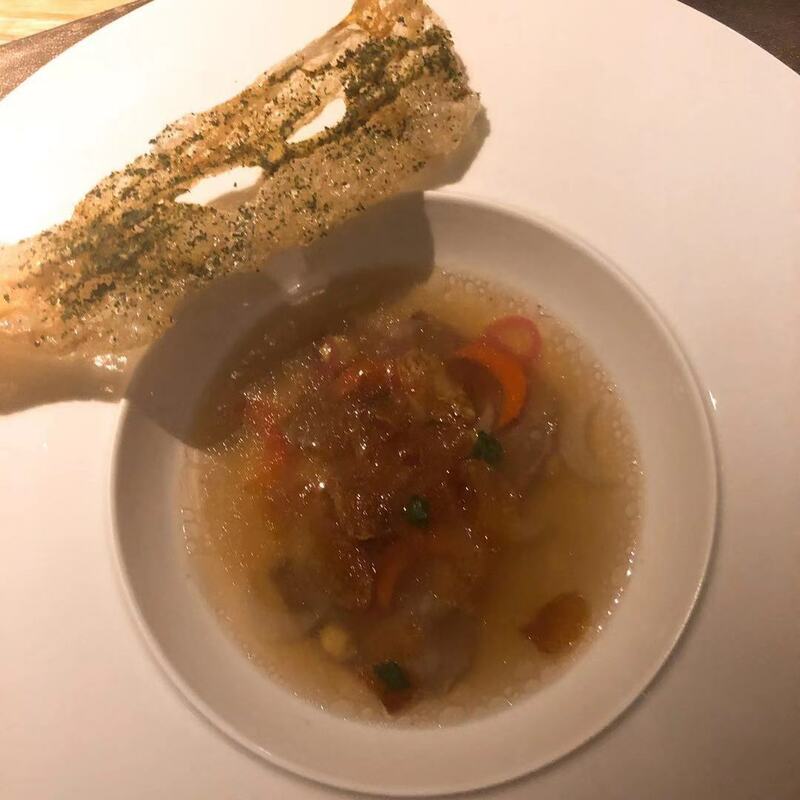 I started off with the Beef Oyster Tartare, this came with a portion of fries, which I decided to forgo, as I had ordered the Choucroute and Pork and offered instead a Shake Salad aka a side salad, which I thought was proactive by the waiter. 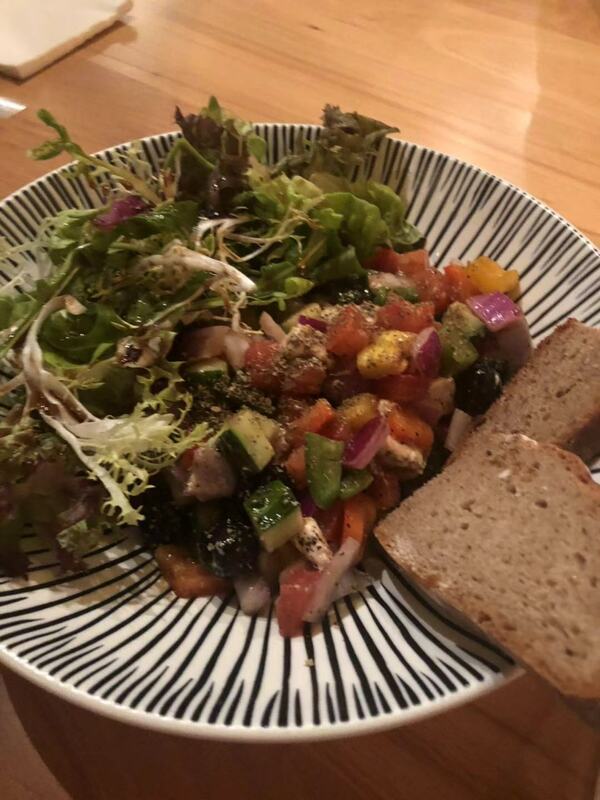 The salad was served in a jar and tossed, hence the name Shake salad as written on the menu, it could have a little more seasoning and sauce I felt. I had finished off the Workers Pale Ale, and decided to have a glass of Chenin Blanc from the Loire with the Beef Oyster Tartare, the young bartender emptied the remainder of a bottle into a wine glass, and then had to open another bottle to top up the glass of wine to prescribed fill, without checking to see whether the new bottle was drinkable, as the colour was looking slightly oxidised or for the common man, off colour….but, had to say it was drinkable, just. Back to the Beef Oyster Tartare, I must say a great combination, perhaps not everyone’s cup of tea, I would order again. 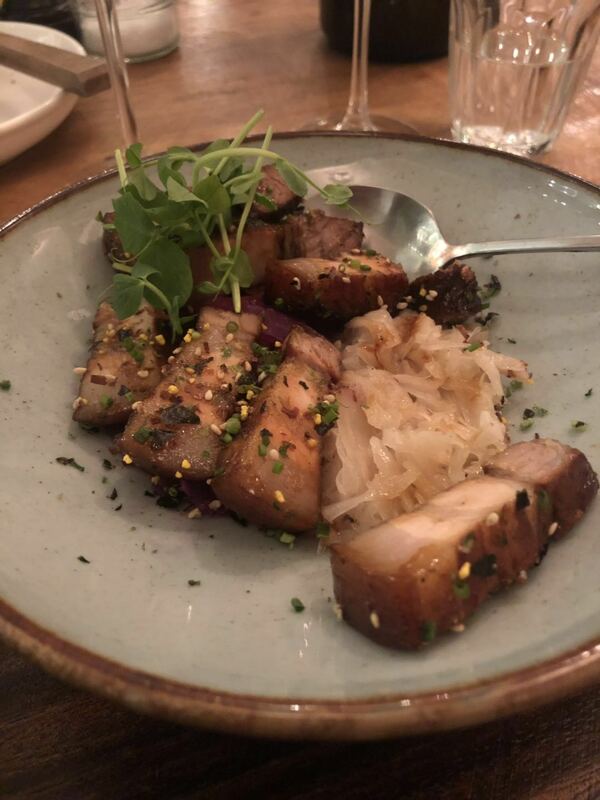 The Choucroute and Pork was presented with a combination of both sauerkraut and red cabbage which lay underneath the succulent tender pieces of pork belly, this had a sprinkling of sesame seed atop of the tiny cuts of pork. 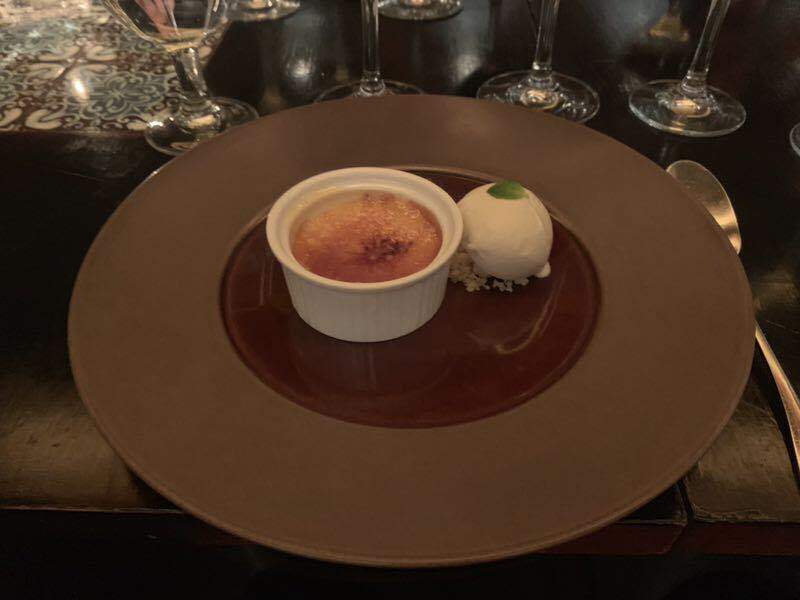 I was offered a Crème brûlée by the chef, which was served on a warm dish, with berries that had been steeped in alcohol, perhaps a brandy of sorts. 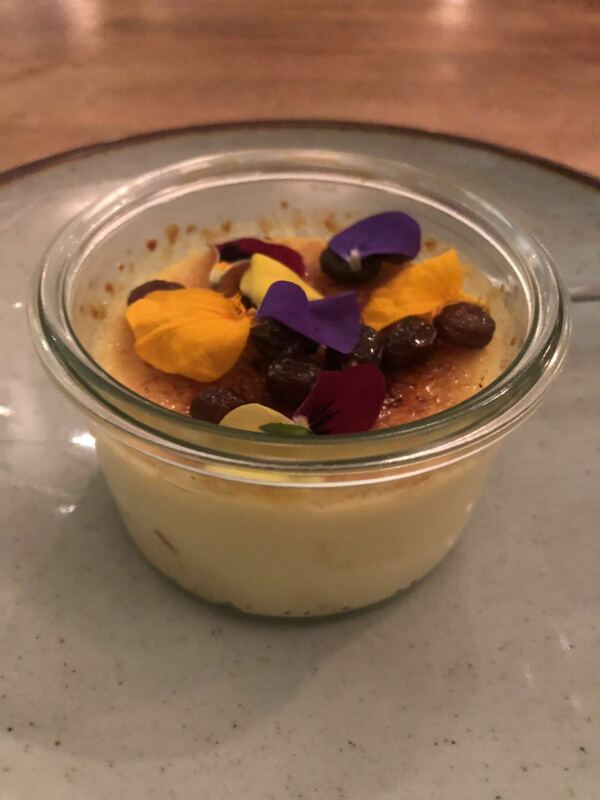 And a scattering of edible flowers, the caramelised sugar was rather brittle and the custard cream had started to separate. 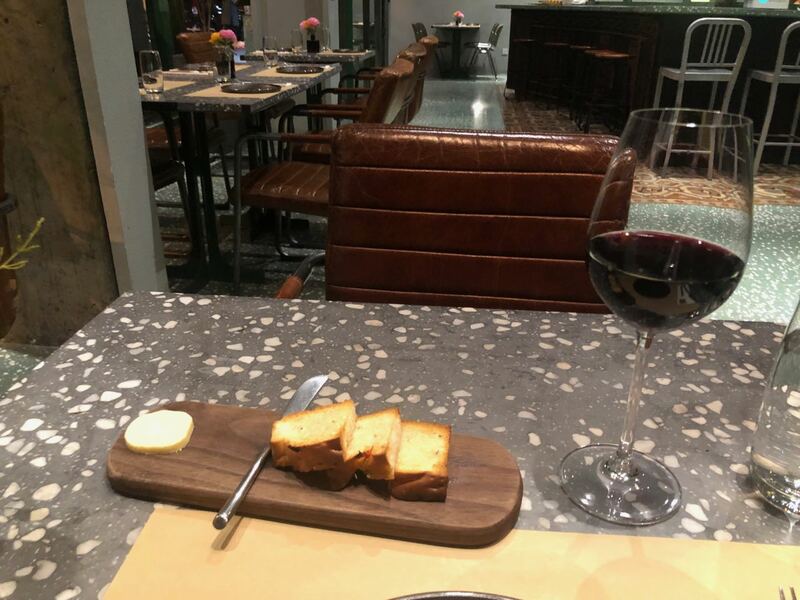 RAC Bar has a decent wine selection, could perhaps offer a wider choice by the glass, innovative and original style of food, the service is extremely friendly and price points reasonable. 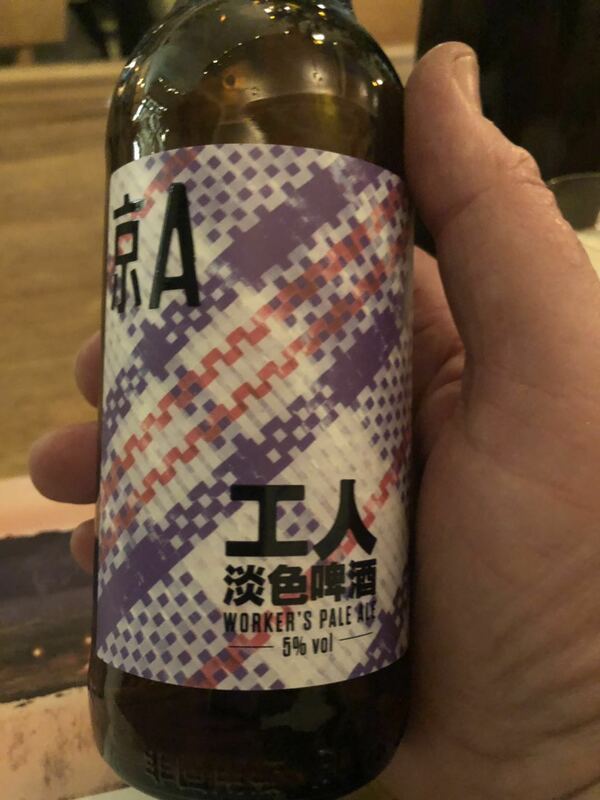 Glad I went along to try, damages for one 381RMB on a Saturday evening, would certainly recommend RAC Bar, and go back, although would choose a time when the posers and gimbals are not around. Generally, I have always found Mexican food to be the same the world over, an offering of Nacho’s smothered in something or other, the usual fare of Tacos, Empanadas and Quesadilla filled with this or that, and a splodge of Chimichurri here or with the ubiquitous guacamole or other forms of mole on the side, and in all honesty never been a convert to Mexican food, as it never seems to have the finesse of other cuisines. 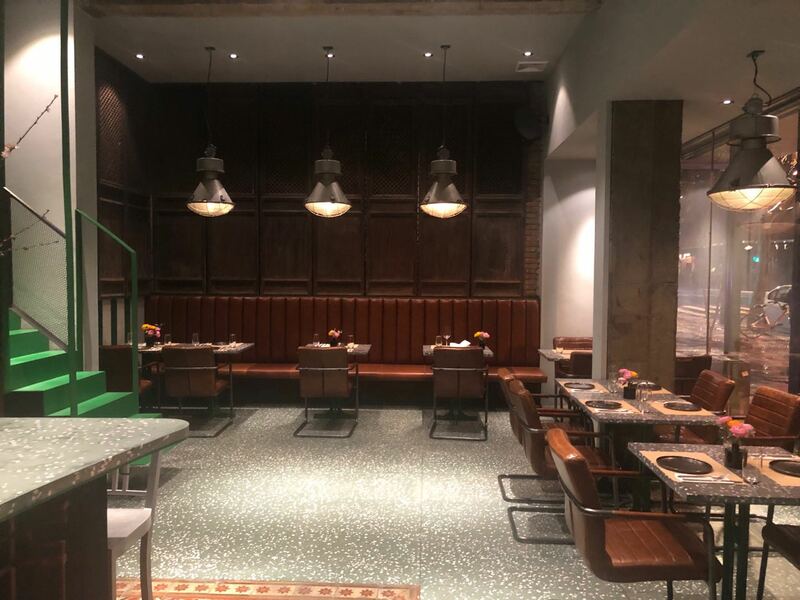 Shanghai has its fair share of Mexican style restaurants, even a Taco Bell, however, one that stands out somewhat over the other Mexican establishments in Shanghai is Maya, which is tucked away in an odd location off Julu Lu, in a clubhouse of all places. I recall going just after it first opened, have been several times since, the restaurant has gone through a number of chefs and managers over the years, and heard that the place had a new team manager the restaurant and thought I should give Maya one last try at redeeming itself, in an attempt at converting me to a mole or two. 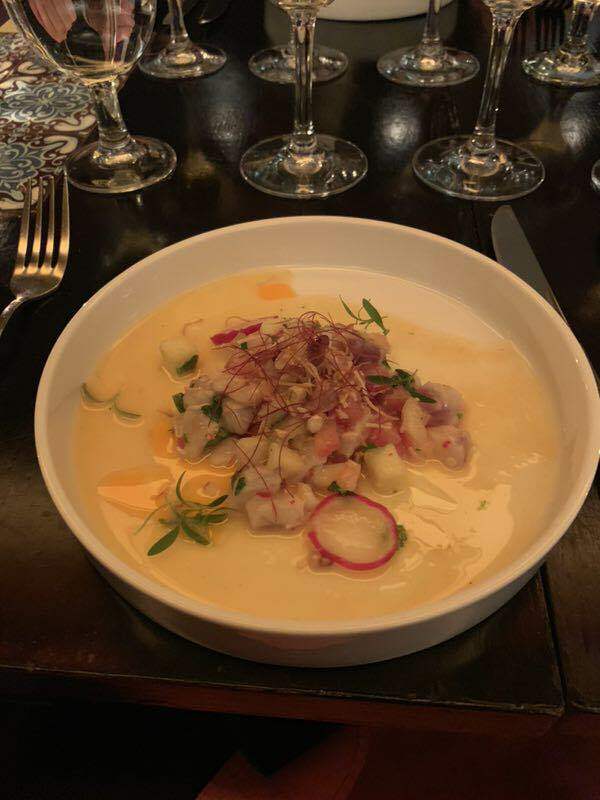 Fresh Seabass Caribbean Ceviche, that included a coconut passionfruit salsa, with a smattering of cashew nuts - must say a delightful dish that was paired with a Spanish Albarino wine. Slow Roasted Pork Belly which came with a fruity house made Mole Poblano, sweet potato and corn, along with a truffle infused succotash – this dish had a considerable amount of fat on and had to leave most of the dish, paired with a Ribera del Duero. 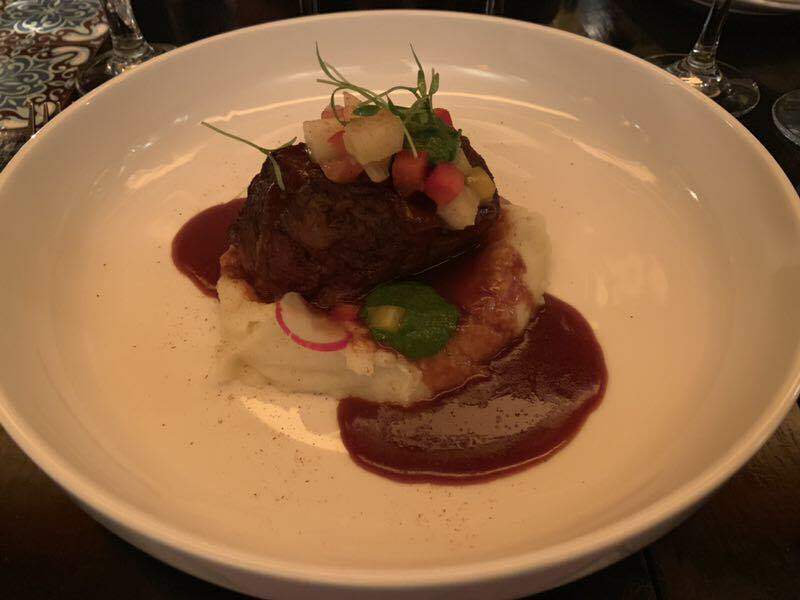 Australian Beef Short Rib, that had been slow cooked for 48 hours, mopped up with a creamy mash and chimichurri, with black pepper & pasilla rich demi-glace type sauce paired with a Spanish Priorat Vinyes Velles. And finished off with a Passion Fruit Crème brûlée, which was more like a flan in consistency than a traditional Crème brûlée I felt, nevertheless tasty enough, accompanied by a wonderful dessert wine simply called No.2 Victoria, again from Spain. The service was a little slow at times, the venue is noisy with the background music, the toilets are a little rank in odour, and this is in the winter, they obviously have an issue with drainage or their noses perhaps. Overall not a bad night out with a group of lads, damages overall 950RMB per person, I would not rush back to go down Mexico way again, mole or no mole, and we all know mole comes from. 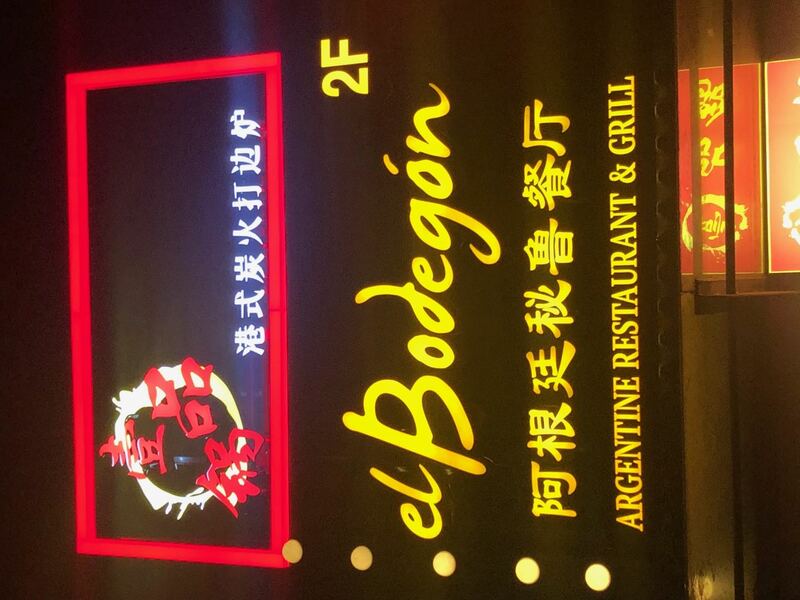 Shanghai has a plethora of steakhouses, many of which will leave a serious dent in your wallet and at times I have found to be disappointing, but am pleased to say not when dining at either of the El Bodegon casual Argentinian steakhouses. 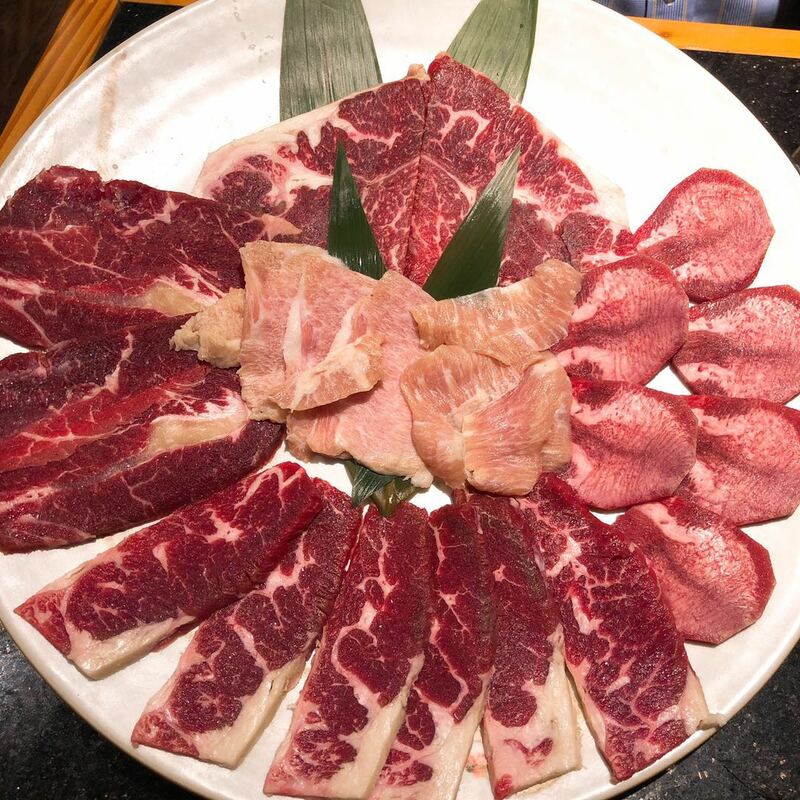 I have dined at the original El Bodegon on Changsu Lu a number of times over the years, great selection of beef cuts, always affordable, and grilled over coals to your preference, not as easy as one might think to get this spot on each time. I went along to the new El Bodegon steakhouse on Panyu Lu, that has been open about six weeks now and took advantage of their weekly promotional specials, went for the Rump steak, which to me is by far the tastier of cuts, failing this cut, would have gone for a Sirloin steak. Ordered the Rump steak rare, and asked for a simple side salad, which they don’t have on the menu ( hint hint if you are reading this) accompanied by a glass of the Malbec at 60RMB for a 150ml, not a bad drop of wine I must say. I was asked how the steak was, and if it was cooked to my liking, and all a firm yes, I in turn asked for additional salad and chimichurri, along with another glass of wine. The service staff were extremely efficient in taking the order and topping up the water, no hard sell of fancy sparkling waters either which is a relief. All in all, for a table of one, damages came to 267RMB and could highly recommend El Bodegon steakhouse on Panyu Lu for their steaks. The only downside was the young bartender picking his trumpet (aka nose) in full view of the restaurant, not once but twice, carrying on his business, oblivious to being seen by customers. 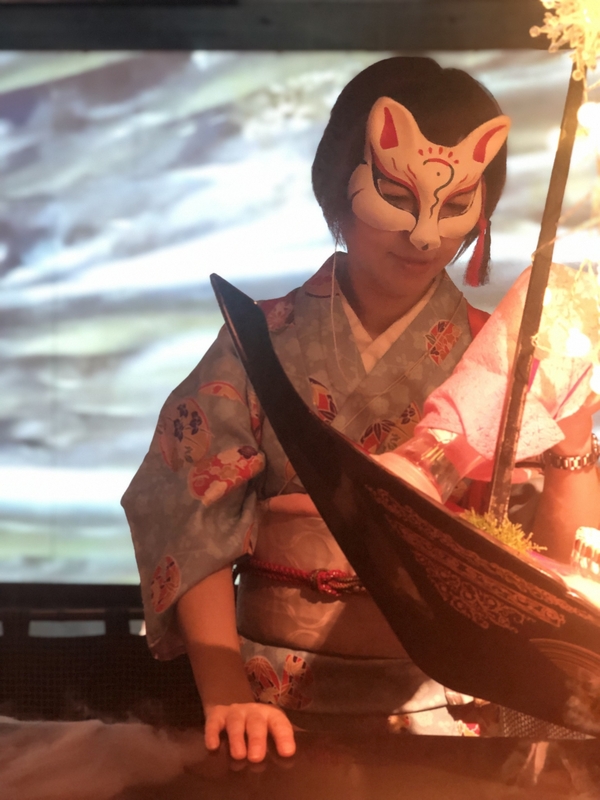 Xiao Qian Xun 晓千寻 is Japanese BBQ restaurant located on Xing Fu Lu, the owner of the restaurant is a huge fan of Hayao Miyazaki, a Japanese animator, filmmaker, screenwriter, cartoonist, author, and manga artist, the restaurant is festooned with figurines and memorabilia from Miyazaki-san. The restaurant also has several tatami rooms, but opted for the “BBQ Set” on this chilly Wednesday evening, that my regular dining partner had paid for, via a notable Chinese dining App, and shan’t mention by name here. The service staff were welcoming and efficient in cranking up the brazier and lowering the exhaust hood. 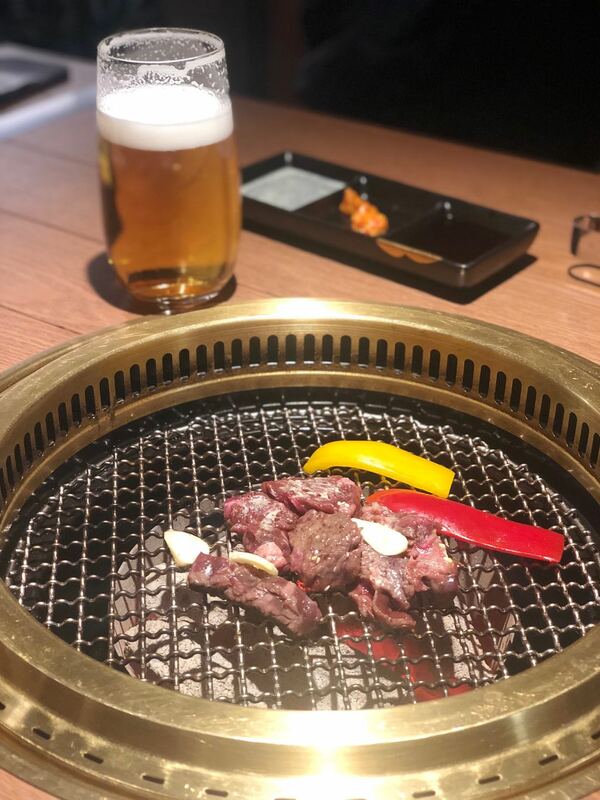 Ordered a couple of Kirin beers to start off with, and the BBQ set was delivered started with Kimchi, Wasabi Octopus and a respectable Seafood salad. The selection of raw meat was as follows: Ox Tongue / sliced Pork (almost like bacon) / Rib Eye / Short ribs, an additional order of two pre-cooked large prawns, (which were not great) the set meal came with the standard Miso soup / Egg fried rice, which can be recommended, we finished off with a further two Kirin beers. The meat was a little on the chewy side, nothing to doing with my BBQ cooking skills, I feel that the meat could have had some marinade to accompany the selection. Overall not an unpleasant experience and for the price of just 382RMB for two pax, could recommend for an inexpensive night out. Met up with an old business colleague for lunch, and at odds where to meet centrally in Shanghai, decided upon Café Gray Deluxe at the Middle House hotel. I arrived well before the allotted time, without a reservation, not an issue it seemed, as most office workers within the Taikoo Hui office complex were content with having their lunch delivered and left on some form of food cart around the mall entrance, most bizarre arrangement, reminded me of the Bombay Tiffin Wallah’s. I had dined at Café Gray Deluxe previously, shortly after they opened, and thought I should give them another try, fewer pax for lunch on this occasion, perhaps the food carts that abound had something to do with this. 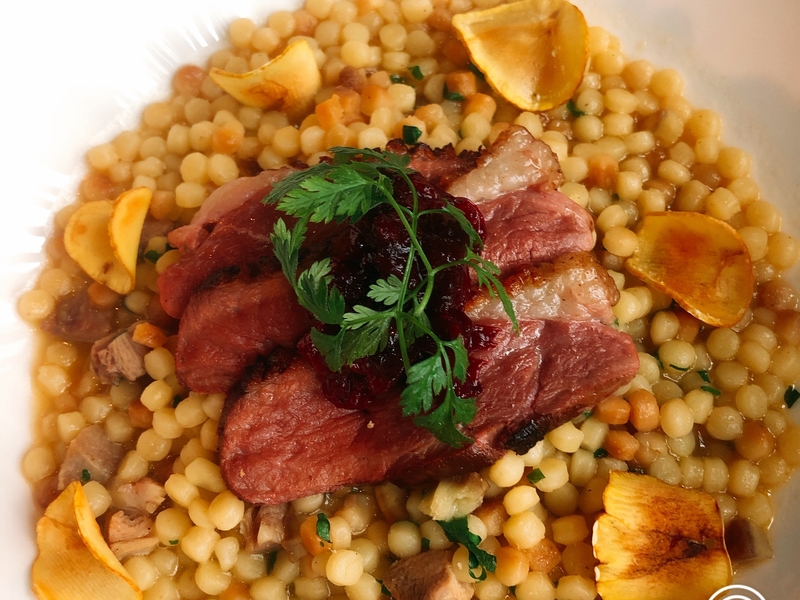 Chestnut and Duck Fregola – must say a rather large portion for a starter, and could not be finished. 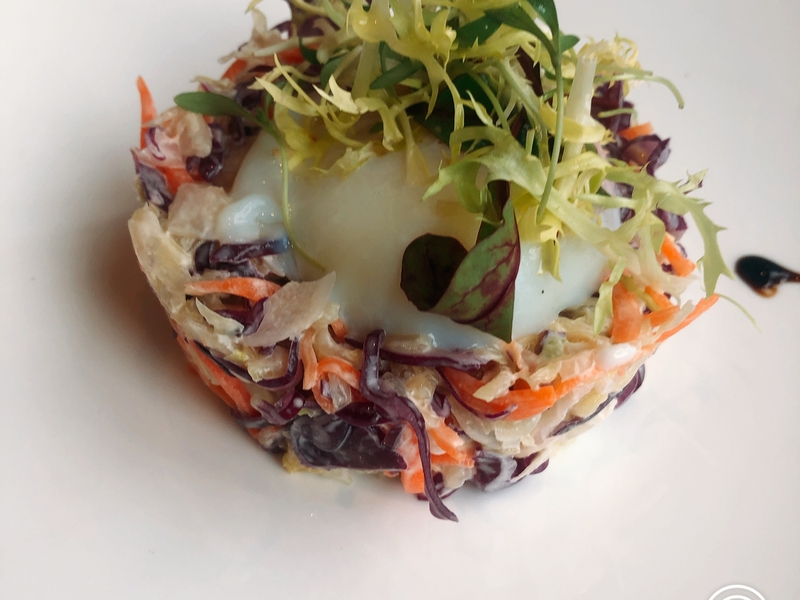 Green Cabbage Salad served with a sous vide style soft poached egg, the portion size was minuscule compared to the Chestnut and Duck Fregola, and far too over seasoned with salt. 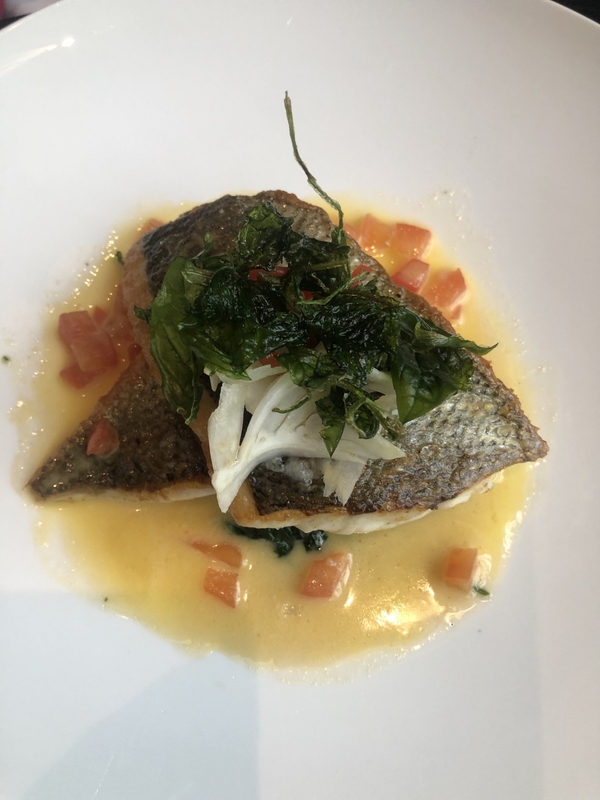 Grilled Sea Bass – nothing to add here, pretty standard fare. Over Simmered Endives and Ham - a simple dish, pleasant and tasty enough, although the new potatoes that accompanied the dish were overcooked and shrivelled. 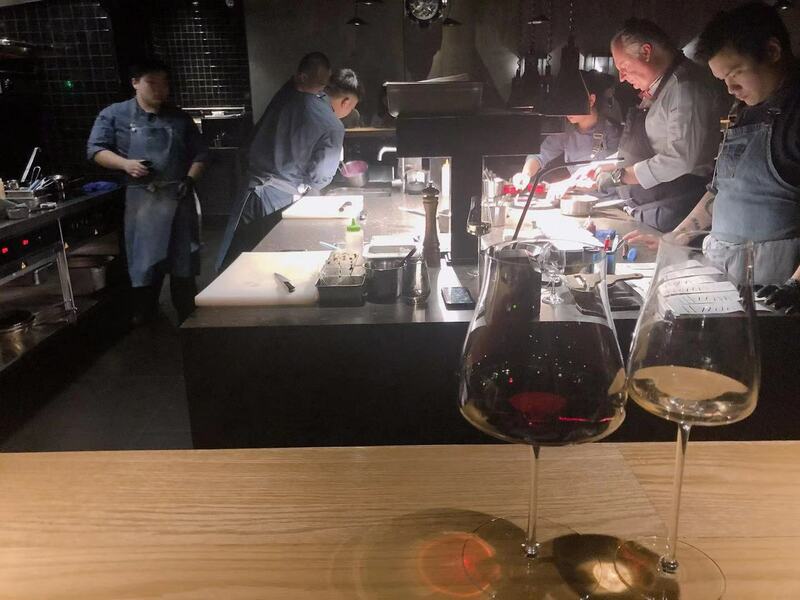 Not much to excite one for the wines by the glass, sad when there is so much to offer in Shanghai, opted for two glasses of Pierre Chainer Chenin Blanc – the temperature of the wine was far too cold, and had to be hand warmed to be appreciated. Damages 683RMB for two, not cheap for a two-course prix fixe lunch, perhaps would have been had we not had a bottle of water and the two glasses of wine and espresso, there are less expensive prix fixe lunch options available in the vicinity so could not really recommend Café Gray Deluxe for this style of lunch. The service was fine, although could be viewed as confusing as four different servers attended to the table, comparing to my prior visit, the service has gone down I felt. The other issue upon leaving the hotel, and ordering a taxi through ones Didi app the taxi could not find the hotel entrance, directional signage is obviously an issue within the complex. 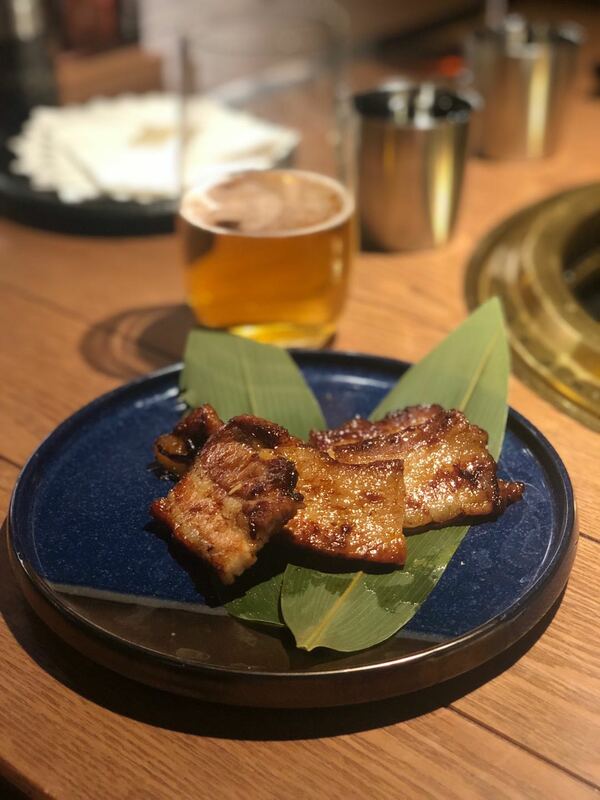 What started off as a Friday Date Night to “Star the Day” billed as Japanese izakaya spot, can’t be any further from the reality of this establishment on Julu Lu, I feel that they have an identity crisis and certainly a mismatch between the concept of an izakaya. Whilst pondering the menu, ordered a glass of DB sparkling from Oz, and a Vesper, both healthy sized drinks, although the Vesper was on the light side if you catch my drift. Wines by the glass were limited. Huang Fei Hong style fired (a typo, this should have read fried) chicken gristle, with chilli peppers. There were three other couples dining at the venue, although most were lost in cyberspace as they certainly weren’t together in a manner of speaking and conversing with their dates. Back to the food, which came in dribs and drabs and had to remind the waiters for the Huang Fei Hong style chicken, and frankly wished I hadn’t as it was bloody dreadful, too salty, too spicy, and numbing, which had to be washed down with a more DB and a Malbec. 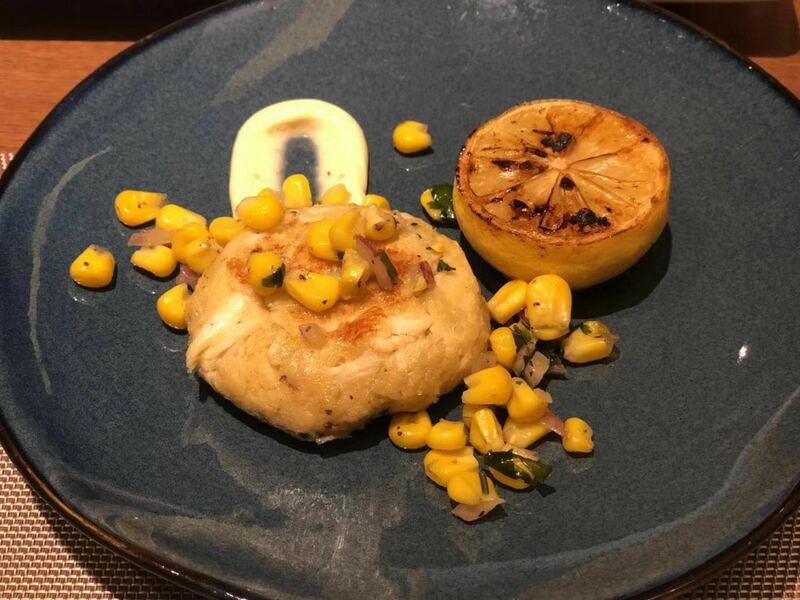 The dishes which stood out were the Cigar Tuna and Jumbo Crab Cake, total damages a mere 680RMB for two pax including beverages. After the initial slow service glitch, the staff bucked up and were friendly enough, I do think that the venue could have the assistance of one who knows how to check spelling mistakes on the menus, and perhaps taste dishes. The venue was personally not for me, but I am sure would it suit many others and perhaps in the warmer months, as there is a small terrace available. PS: Smart Shanghai have the venue listed as Star of the Day, whereas the venues name is actually Star the Day, with neon signage illuminating the entrance way. Consistency is the name of game at Colca. 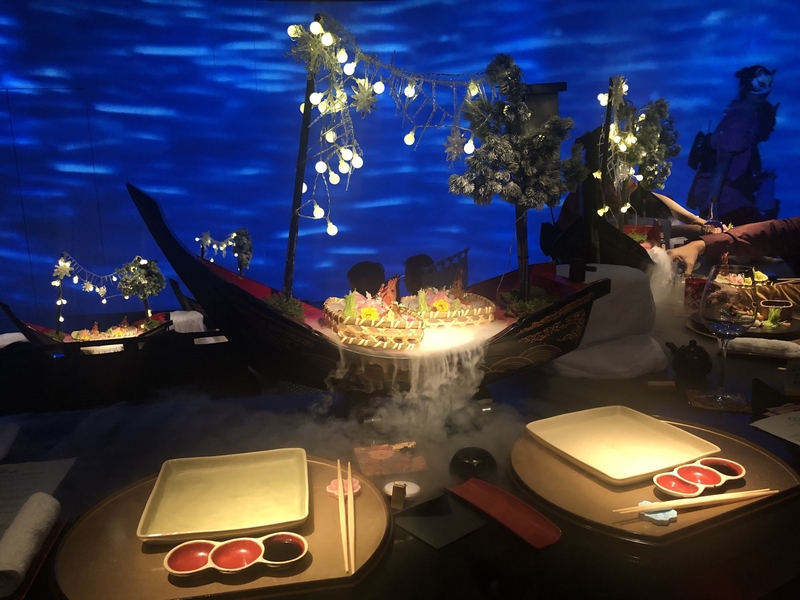 I have been a follower of Eduardo Vargas's culinary exploits over the years, and have to say that each of his themed venues stands the test of time. I have dined at Colca on at least on dozen occasions, whether that be for a Date night, taking business colleagues, and recommending visitors to Shanghai for someplace authentic to experience, and not once been disappointed by the warmth, the sense of arrival by the waitstaff, followed through to the end upon departure, and of course the array of dishes served and quality. On this occasion, I had an overseas guest in town, and what better place to bring him than Colca, we were greeted by Angel Abadia and left him to put together a menu for the three of us. A round of Spanish gins to start off with, along with several bottles of Malbec throughout the course of the meal. Can only recommend Colca, whether that be for an intimate dining experience, along with if one were to go along with a large group. Whilst to some it may not seem a cheap night out, but certainly, one that won't break the either....fortunately no froth of foam served here. 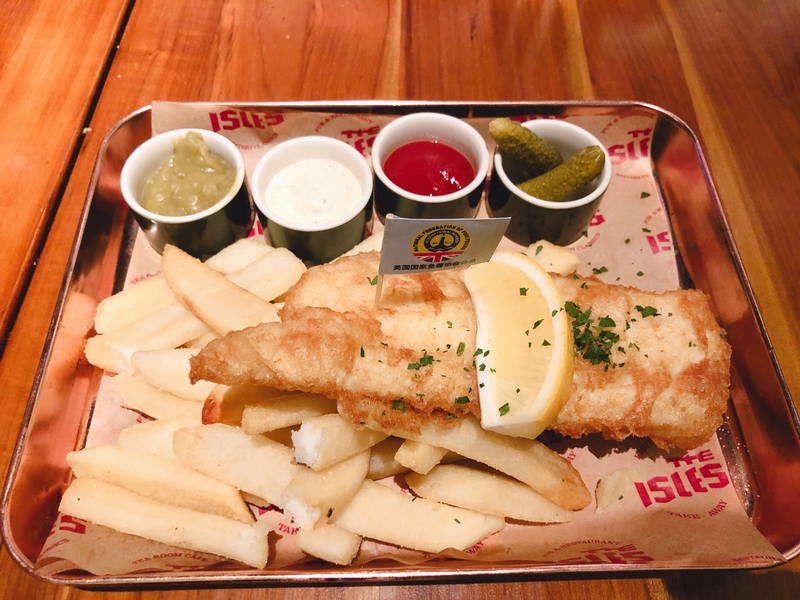 Following a shopping trip to Raffles City at Changning, fancied an early dinner and spotted “The Isles”, what better on a sodden Saturday evening, than a plate of fish & chips opted for the Haddock, over the Cod & chips. The service was hit and miss, the waitstaff seemed keener to mingle near the kitchen access point, thankfully the lone bar person recognised our semaphore signals for service, we sat at the high bar tables at the back of the restaurant, the table to height banquette is all wrong, one would need a short step up to reach the banquette, and distance between the tables are incredibly narrow. I would not call it a pure Fish & Chip shop in the true sense of the word, more of restaurant that serves a passable style of fish & chips, although unsure why one would serve a lemon wedge with the fish, had to ask for the malt vinegar which is a staple when serving battered fish. The smidgen of mushy peas served in a small egg cup was more like a thick soup, rather than mushy. 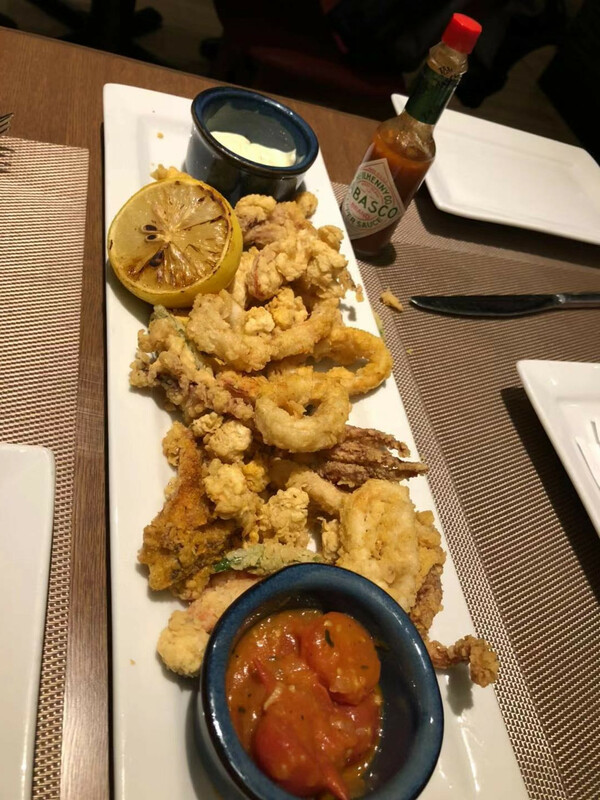 Overall, the size of the fish, the taste along with the chips were passable, value for money, 119RMB for 200grams of fish, we also ordered fried calamari, which was so-so and not worth further mention. I would not rush back. I have always been partial to Dim Sum on a Sunday morning, and so often been disappointed by the fare offered in many of the Chinese restaurants of the major hotels, so opted for a well-established restaurant called Hong Kong Cha’s Gourmet Kitchen located on Kaixuan Lu / Anshun Lu, the restaurant has been operating since 1980. We took a chance by arriving without a reservation 11h00, fortunately, were able to get what appeared the last table for two, all others were taken by families dining on a Fresh sunny Sunday morning in Shanghai. The feel and style of the restaurant is a mix of old Shanghai and Hong Kong combined. 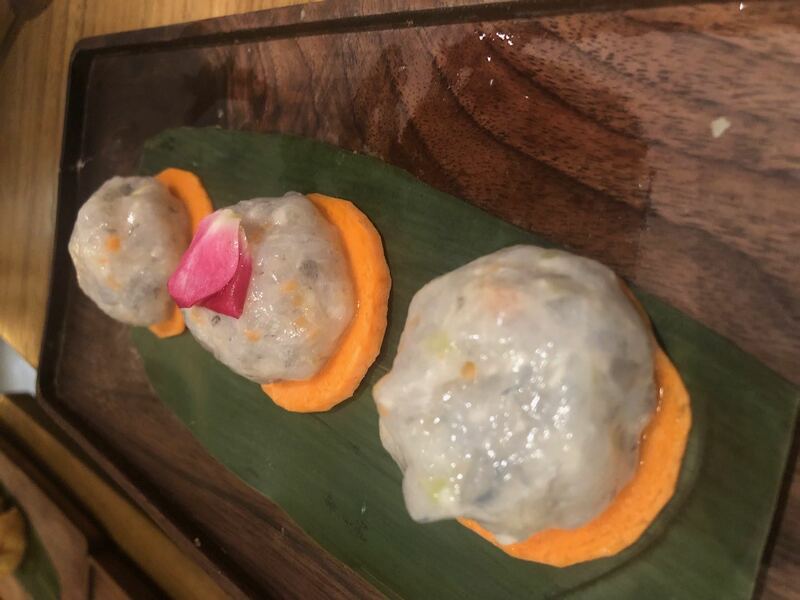 Whilst Hong Kong Cha’s Gourmet Kitchen may seem off the beaten track, a good indication is the number of older patrons that are dining there, and no doubt regulars. 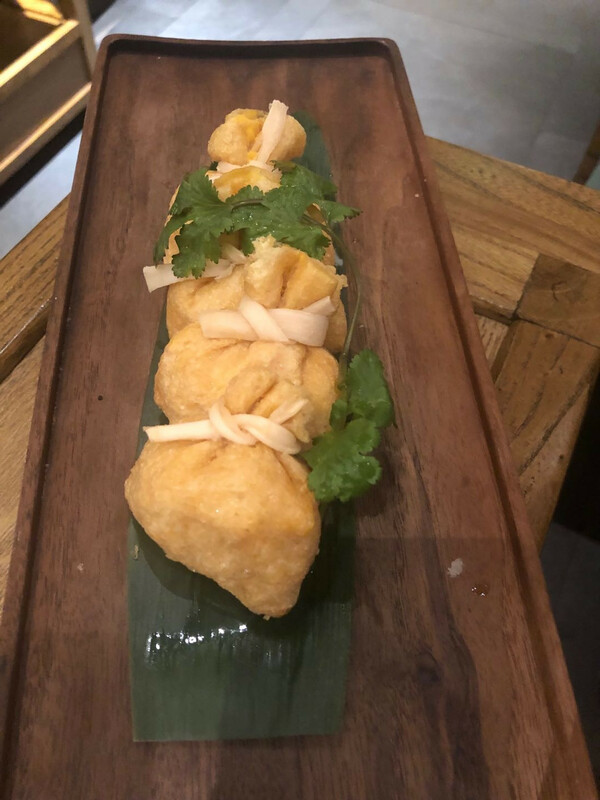 Do yourself a favour and go and try Hong Kong Cha’s Gourmet Kitchen for yourselves, but get there early otherwise, you may end up queuing for a while. Generally, the only time you can get me to venture to the Dark Side is to take a flight out of PVG, or when I attend the annual Decanter wine event, which is worthwhile otherwise not. Chance would have it, that I was invited to a rather interesting display of Goldfish currently on at the Shanghai World Financial Centre, which makes one rather hungry. 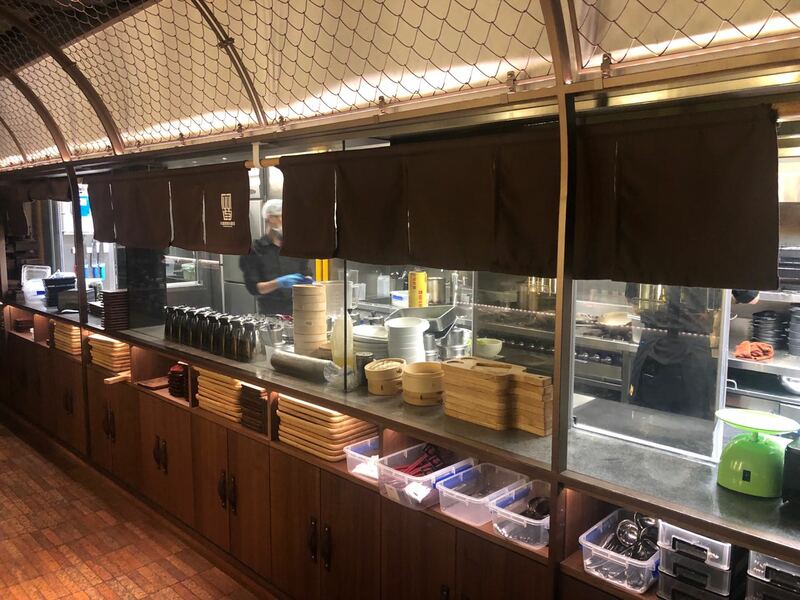 Feeling peckish, decided to try out Blue Frog in the basement, as there was not much else to offer in bowels of the World Financial Centre building, for a Friday evening not much in the way of clientele in any of the venues I might add. I was with my regular dining partner, ordered a glass of South African sparkling, and Stella, proceed to order the food, when blow me over the waitress knocked the South African sparkling over me, full of apologies and handfuls of cocktail napkins later I was mopped up, and moved to another table, with another glass of sparkling in hand, not the end of the world, it might be Friday, but to sit in the wet patch is not much fun. Ordered the Mix Grill platter, with a side of Fries, the order came quickly, rather dubious when grilled items arrive so quickly, “Almost here’s one I did earlier”, the sausages on the platter were not cooked, in fact raw, so had to send back via a gruff cook. The waitstaff were friendly enough, was offered a complimentary dessert for our troubles, but overall, I would say don’t bother dining at this venue. 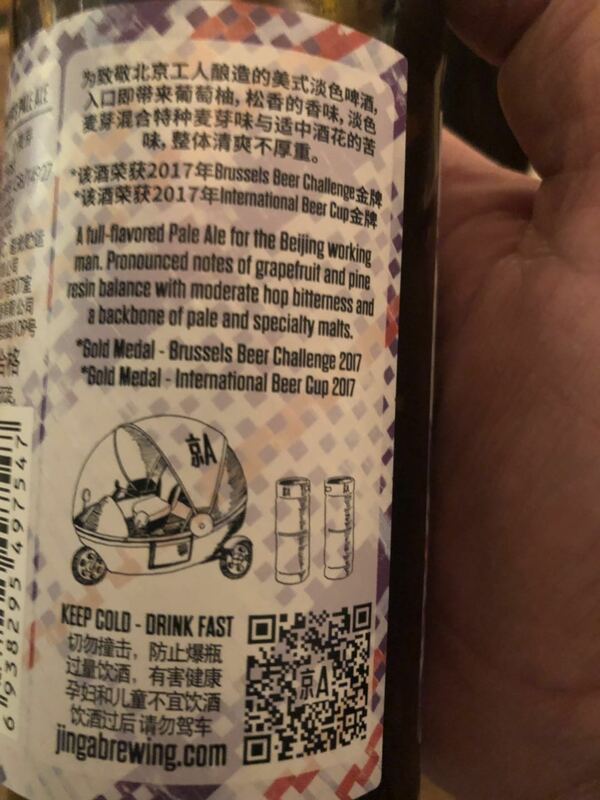 I have lived in Shanghai since 2005, and had the odd meal at a number of Blue Fog establishments, from the earlier days on Tong Ren Lu to Maoming Lu, and Hong Mei Lu, and have to confess they have declined in the quality and standard of food offered, the service has always been hit and miss, would not recommend any I am afraid. 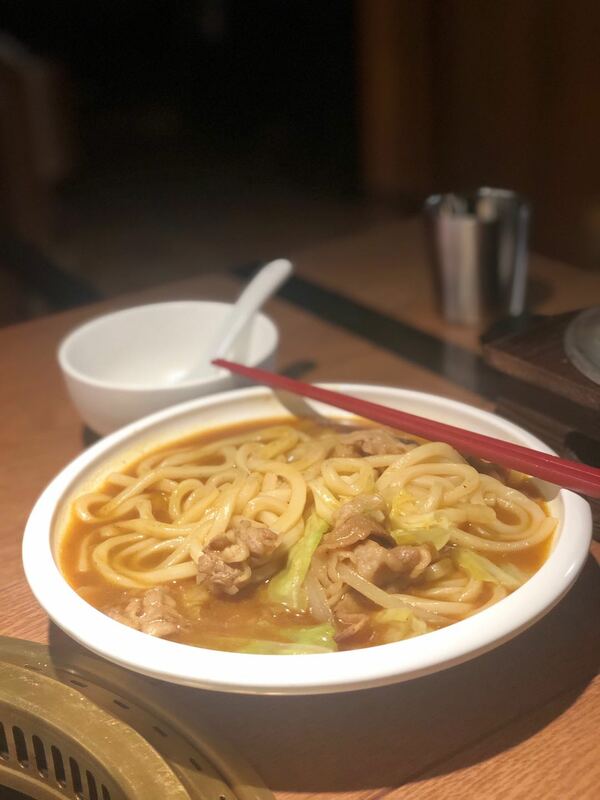 Several months ago, over a dinner party, a number of the guests were regaling about a recent dining experience in Shanghai, located in a now defunct old noodle shop on Yuyuan Lu just along from the Cannery. Fast forward to Shanghai and Jeju Izakaya. The tiny space is not much more than eight seats at a bar with an open kitchen around what could be billed as the kitchen pass. My understanding is that Izakayas are essentially Japanese taverns – drinking houses with a menu of small dishes for snacking while drinking. It literally means “stay sake shop” so traditionally this was a place where you could sit and drink on the premises. 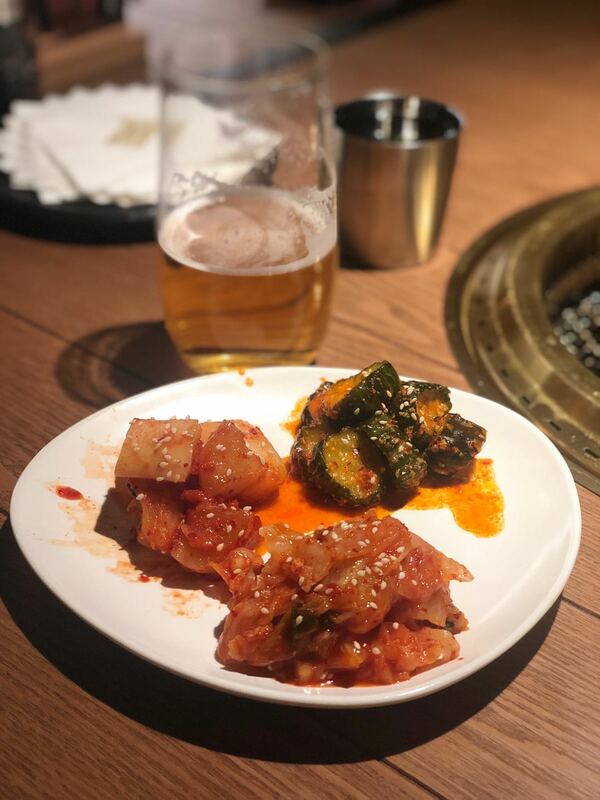 To book for dinner atJeju Izakaya, one can only reserve via WeChat, so no walk-ins, no phone calls to book, which becomes one of those Catch 22 situations. 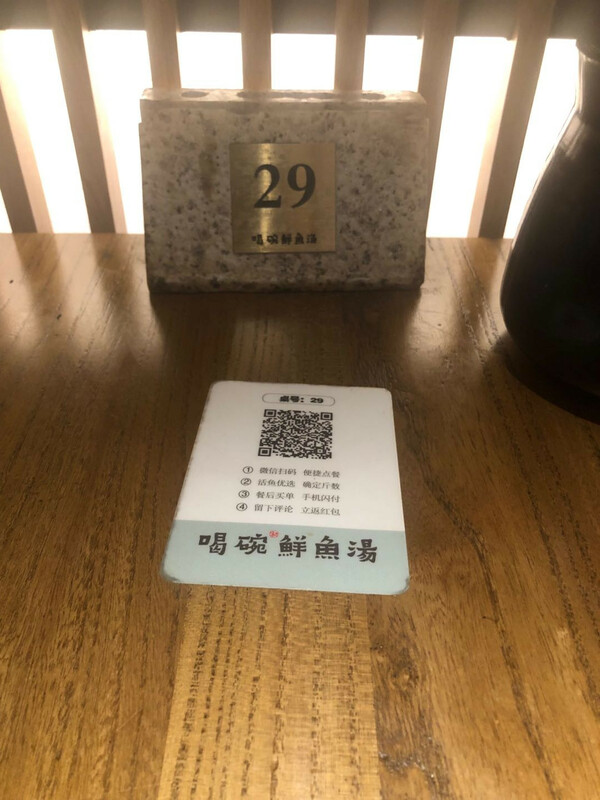 I decided to visit the restaurant and attempt to book, no go either, here is the business card and check back on WeChat from the 1st of the month. Luck would have it that I was able to get two spots midweek through a cancellation, so was happy as Larry, arrived for the second sitting at 20h30, with high expectations which started off well, with warm and friendly interactions and dialogue with both of the chefs, they took the time to explain each dish as they were served, and the story behind each dish, along with the pairing of the shochu and wines. The food was a bit hit and miss I felt, some dishes lacked adequate seasoning in my opinion, some dishes were just too simple. Price wise it didn’t break the bank when you had the set menu and the suggested beverage pairing either, came to 1,321RMB. Going as a couple felt it a bit boring, and believe it would have been better with a group of like-minded people ....the other three couples, all Chinese were too busy surfing their own "moments" and did not appear to be enjoying the dining experience. 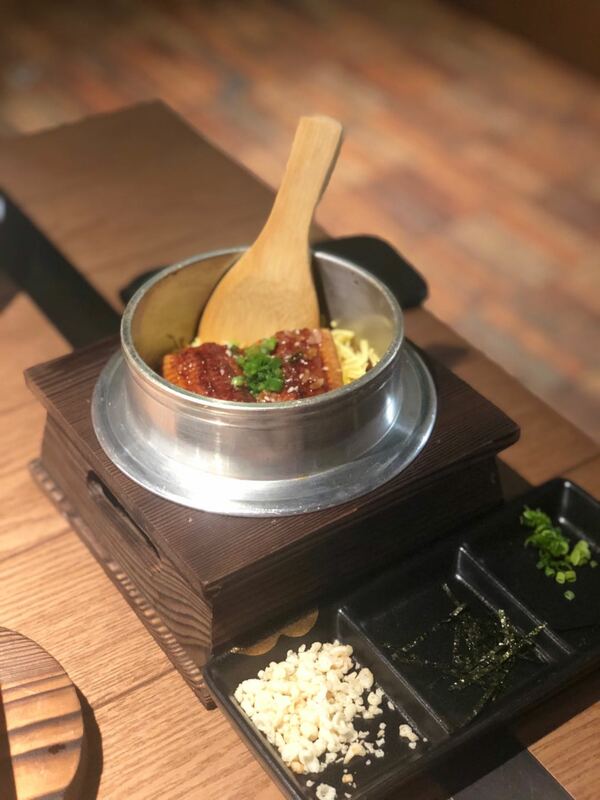 The end result is I feel the restaurant is overhyped somewhat, coupled with the seemingly mystic of having to book via WeChat, and only from the 1st of each month, paying a deposit, having two sittings, only 8 seats etc. etc. I would not rush back. I have been nagged for well over a year to head north and dine on a Tuesday evening at Zeitgeist for their schnitzel night special, reading about this enclave in a distant part of Shanghai I thought it best to reserve a table, a chore in itself. Once you arrive there is no one to greet you, the waitstaff were more akin to the whirling dervishes, rushing around the tables, with no eye contact towards the door. The group of four, including the German chap who recommended Zeitgeist looked over the menu, settled for the schnitzel special’s along with a pretzel and German beers to start off with, for side dishes an order of spätzle, I was expecting to see the traditional cucumber salad served the world over in Germanic establishments, but none to be had, so settled for a Greek salad, that was served with reheated leftover farmers bread? The schnitzels came out in dribs and drabs, extremely dry and overcooked I read that these were pan fried on a post from last year, these were NOT, they certainly tasted as if they had been deep fried, they were accompanied by a dollop of cranberries, a separate dish of supposed German potato salad was served as well, I thought the spätzle was actually mac & cheese. 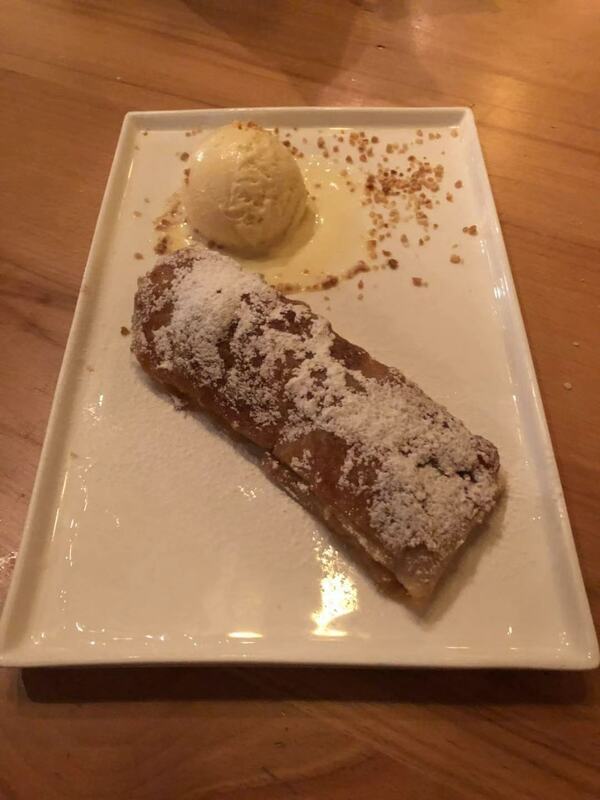 To finish we shared a rather bland, tepid soggy apple strudel. The restaurant was not overly busy, but the service was slow, except when bringing the bill, which came to just over 980RMB for four pax. I have worked in Germany, actually Bavaria and learnt how to make German potato salad, German cucumber salad and spätzle from scratch, plus shallow fry in butter, breaded Schnitzel’s till the cows came home….on this Tuesday evening I wished I could have stayed home and done the same, for it would have been so much better than the pseudo fare served. The German chap who recommend the venue was embarrassed. Some writers and artists assert that the true zeitgeist of an era cannot be known until it is over, well for me it’s over as I shan’t be going back anytime soon for what was a truly lacklustre Bavarian meal. My regular dining partner suggested that we venture further afield and go outside of the norm, by taking the Shanghai Metro several stops and go over the Creek to yet another shopping centre for dinner, the shopping centre in question is called Joy City, under the Qufu Road stop on line 8 of Shanghai’s every expanding Metro system. Well blow over, on the 9th floor of the complex, there are a plethora of stand-alone outdoor restaurants catering to all manner of cuisines, not your fast food court type either, for this Saturday evening away from the maddening crowd of downtown ghouls preparing for a pre-Halloween evening, we chose Alma a recent recipient of a Bib Gourmand from Michelin no less. Oh la La: Homemade French Toast with foie gras apple and blueberries, rather morish. Gambas al ajillo: probably the best dish of the evening, great combination of garlic, fresh chilli and herbs, succulent prawns, and a tangy buttery sauce to mop up with the bread which they offer. Grilled Octopus Galicia Style: Having never been to Galicia, unsure what the style is or was supposed to be? A bit rubbery in parts. 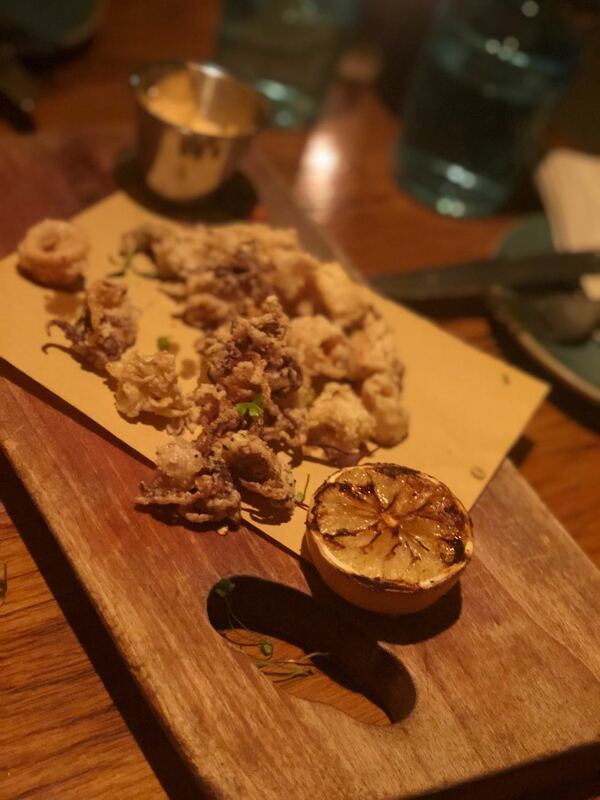 Crispy Calamari: I am glutton for punishment at times, when I see calamari on the menu I always order, I ordered and sadly this dish for me, did not pass muster. 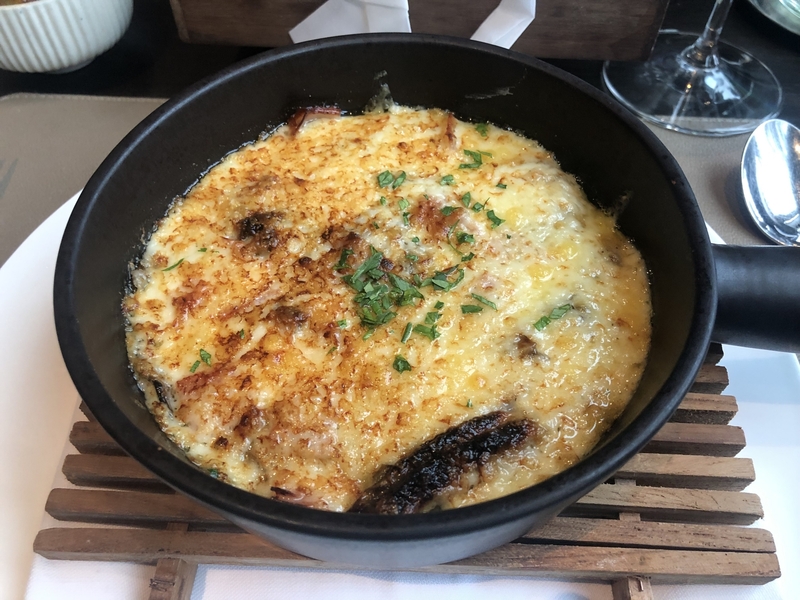 Roasted Cheese: Smoked provolone cheese with sun-dried tomatoes, somewhat like eating Raclette I felt, without the side new potatoes or cold cuts. Pina Colada: No not a cocktail, but a rather novel dessert that tick boxes to cleanse the palate at the end a lovely meal. To accompany the meal opted for the following wines. For a Spanish restaurant, they could have had a few more Spanish wines by the glass on the wine list. All were acceptable, both in the price and the size of the pour. Bib Gourmand restaurants are deemed by the Michelin inspectors as “good value for money” serving “quality menus priced at a maximum of ¥200, for once the Michelin inspectors got this one right, a number of others in Shanghai I feel are somewhat questionable. 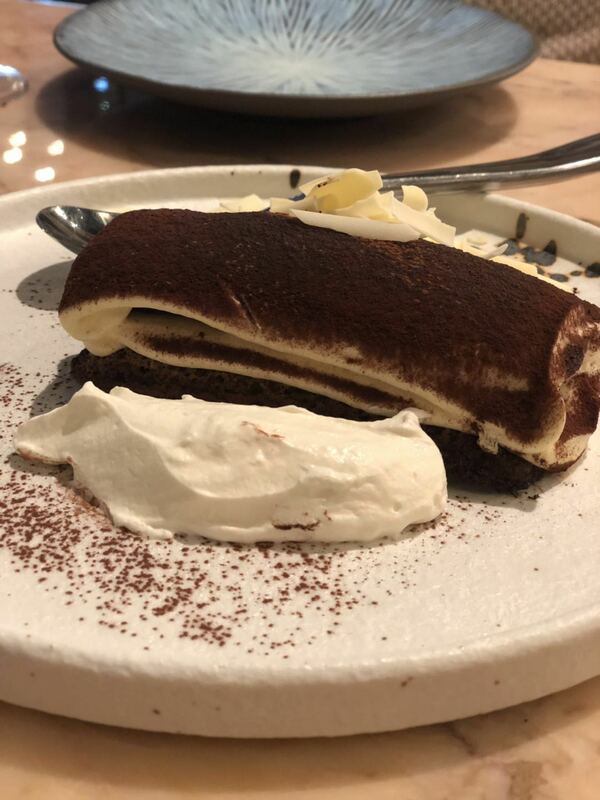 Alma is certainly well-priced restaurant with friendly wait staff, can’t fault the place, and highly recommend, and after dinner to take a spin on the Ferris Wheel, which is part of the Joy City complex. I ventured to Pera at the suggestion of my regular dining partner, although billed as a Turkish restaurant, the establishment also serves Indian dishes by way of Kebabs on the Grille? I have sampled a great deal of Turkish and Indian fare, including street food, and lived to tell the tale, not the 1,000 nights tale variety either, but by having driven through the whole of Turkey, and taken many a bumpy train journey around India. 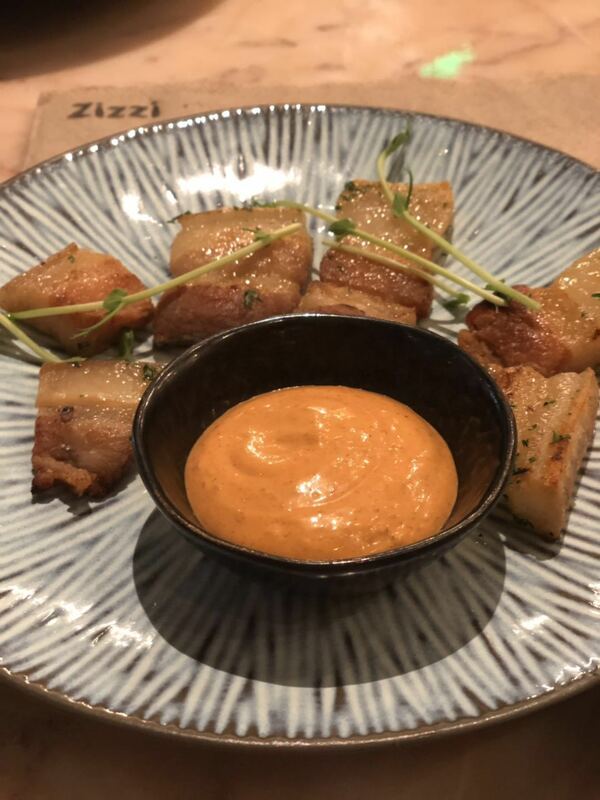 Pera, offers the standard fare that one would expect at a Turkish restaurant, what I can say is that the food offered represents value for money, and affordable, as are the wines by the glass, but NOT in the quality of the wine sadly, they left a lot to be desired I felt. The following dishes were ordered and came somewhat haphazardly, but nevertheless tasty enough. Kalamar Dolma: aka stuffed Squid, now you either like squid or you don’t and very often if not prepared well it can become like chewing on “rubber bands” …This was not the case, the dish was succulent and tender, along with a rich sauce, that one could mop up if you ordered the bread to go along with your dishes. Mixed Kebab Platter: Although the dish was billed for two pax, it could easily have fed four, great selection of meat, and price wise the meat was actually tender, no hint of meat tenderiser, which you get in some Chinese restaurants through adding or marinating in MSG. The wines which we had by the glass, as I said were forgettable two non-descript whites, and two red’s, perhaps the Malbec was the highlight here, why offer wines by the glass if they are mediocre, there are enough wine suppliers with affordable wines at trade prices in Shanghai these days. Damages for the evening a mere 636RMB. I wouldn't rush to go back to Pera as there are better Turkish restaurants in Shanghai, looking around the entire complex it would seem that a number of earlier establishments moved on judging by a number of newer venues, and they too appear to be struggling at 9pm on a Friday evening. Establishments are certainly going through the mill at 158 Julu Lu, aka Datong Mill, which does not surprise me. 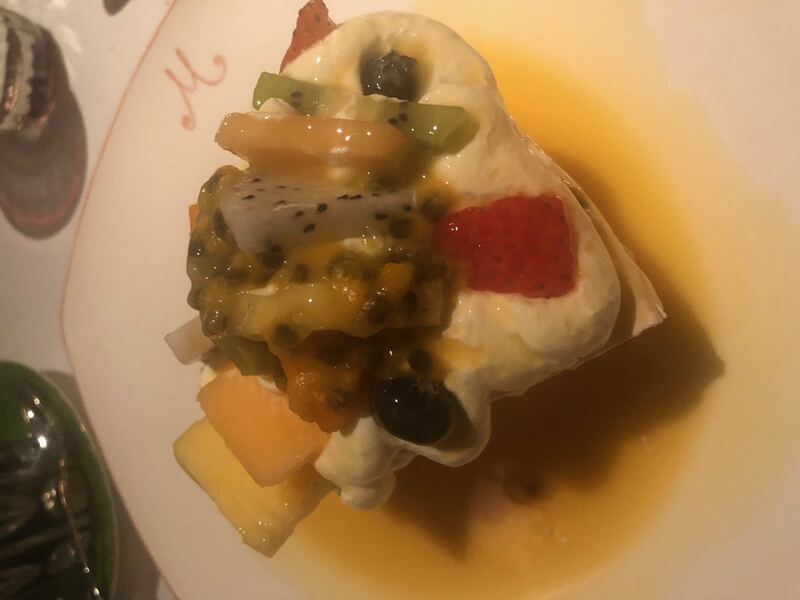 I have ventured into La Maison Gourmande, upon three separate occasions, and not once been disappointed with the welcome, food or service, and more importantly the bill at the end of the meal. This little hideaway on Anfu Lu has certainly brought about furthering Entente Cordiale, unlike some other newly opened French enclaves in town, in their attitude to one's punters. La Maison Gourmande offers wholesome seasonal food choices, with a decent selection of wines by the glass, all of a good measure I might add. 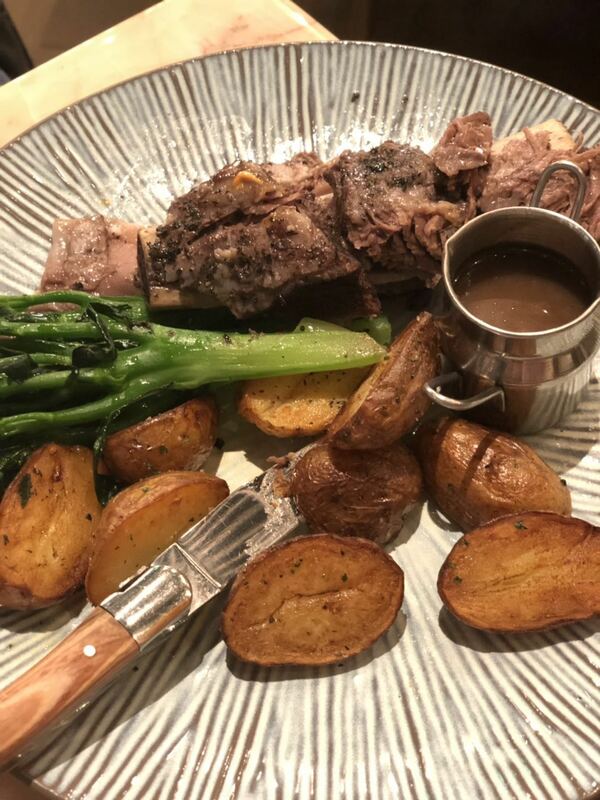 Whether it was the Duck Pate, Fish soup, Lamb cutlets, marinated Herring with warmed potatoes, Ribeye with frits, or trio of creme brulee, all simple dishes and you get what’s written, no froth or foam here. I am sure even Peter Mayle would approve because I certainly do. Went for a late lunch at the recently revamped former home of Franck Pecol's neighbourhood food empire Rachel’s on WuKang Lu aka STACK where I placed an order for one Smokey BBQ Burger, with original fries, and a pot of English Tea, with cold milk. Before I could be seated to take in the sights of the gaggle of millennials preening themselves in front of the three large hairdressing type mirrors on the main courtyard wall, for their enumerable selfies, a pot of tepid tea was set before me, along with jug of warm milk, followed not long after by the Smokey BBQ Burger, with original fries. It’s clearly evident that the burger had been par-cooked to come out of the kitchen so quickly? The burger was tasty enough as it was drenched with the topping, the fries were some of the best I have had in Shanghai, crispy and real potatoes! All in all, a stout effort by the seemingly young team were operating the facility, price-wise 145RMB for a burger, fries and a pot of tea ok, but certainly a lack of attention to detail, no spoon for cup and saucer, no sugar offered, no salt & pepper, the paper serviette blew away, no replacement offered, or sight of any on the tables. Would I return, probably not, the venue is not my cup of tea and certainly does not STACK up against other burger eateries in Shanghai. 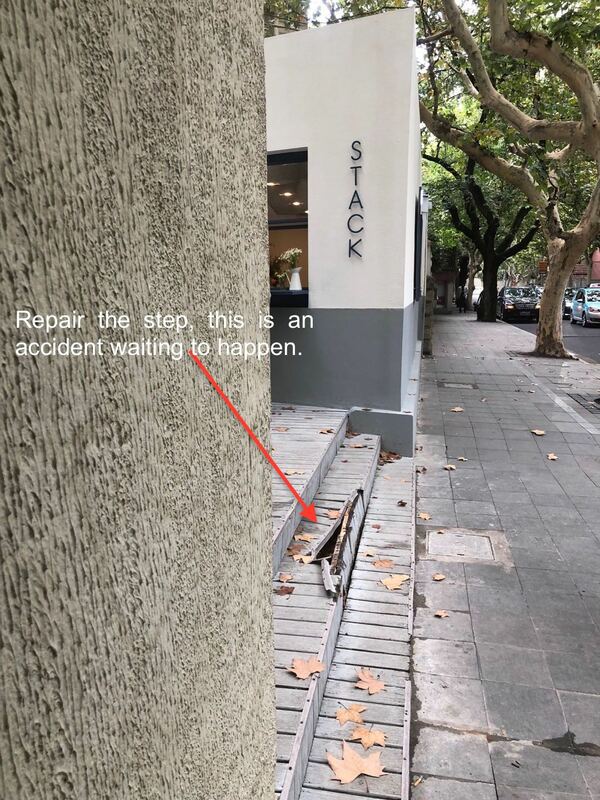 They do need to repair the step, as seen in the attached image, as this is an accident waiting to happen. Generally speaking, I am somewhat leery of restaurants that are located in shopping malls, as most are more akin to the fast food outlets. But not Vert City Farm, located at Raffles City Changning I am pleased to say. From the moment, you walk in, you are greeted by the friendly wait staff. It’s evident that a tremendous amount of thought went into the restaurant layout, menu, and ambience that’s been created, including the mini farmyard scene with a Llama, couple of goats, rabbits, and perhaps even a lookalike Old McDonald watching over the animals on the outside deck, I suppose one could say that Vert City Farm is a domestic version of Green & Safe outlets in Shanghai, but more affordable. A glass of Albarino and glass of Sauvignon Blanc, both more than decent pour, along with great price points, these wines accompanied our half dozen Irish oysters which were on offer. We then proceeded to order the following. Roasted Beetroot Roll: stuffed with goats’ cheese, most impressed by this, none of your straight from fridge to table salads that are often proffered by restaurants. Grilled Smoked Juniper Duck Breast: Succulent, tender and juicy (several weeks ago I had the misfortune to order duck breasts at an unmentionable establishment at the newly opened Columbia Country Club area) those at Vert City Farm were superior by far. 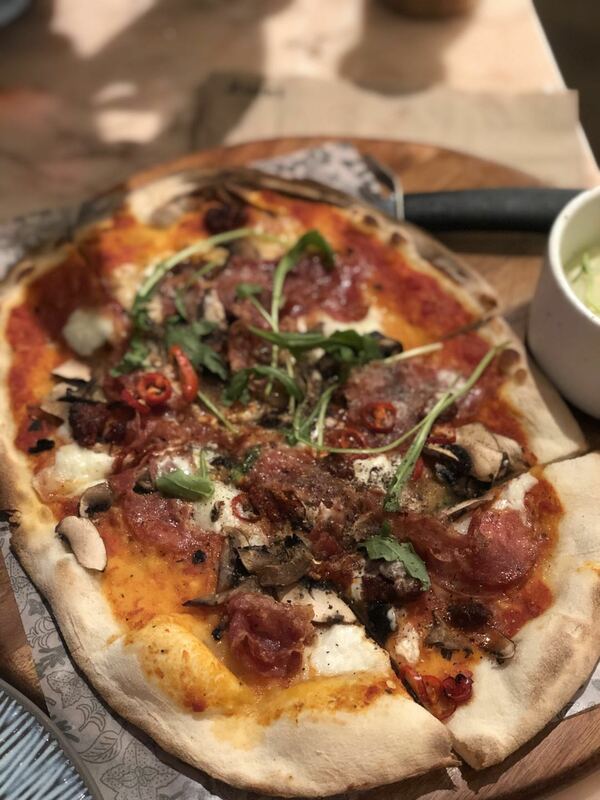 Fungus & Minced beef Pizza: Somewhat novel with squid Ink incorporated into the pizza dough, the pizza topping with an egg in the middle was tasty, personally, the squid ink dough was not my cup of tea, but hey something different that one must try once. French Fries: which came laden with a julienne of seaweed, melted cheese, and topped off with house-made ketchup, hey they were French Fries. The food was more than enough to satisfy, and certainly didn’t go hungry at all, for just 468RMB. Overall very good value for money, would recommend Vert City Farm especially for families with young children to see the animals. And so, another October golden week comes to an end, my regular dining partner, an expert in all things Cantonese, suggested we try Imperial Treasure, what a letdown this purported Two Star Michelin restaurant it turned out to be. Despite having a confirmed reservation for 12h30, we had to wait some 15 minutes for the table, the restaurant was busy though on this Sunday lunchtime. A bugbear which I have is the table to seat ratio in restaurants, I felt like Steve Martin in Dirty Rotten Scoundrels, the seat was much lower than the table, one had to lean forward, the dining chair had no lumbar support. 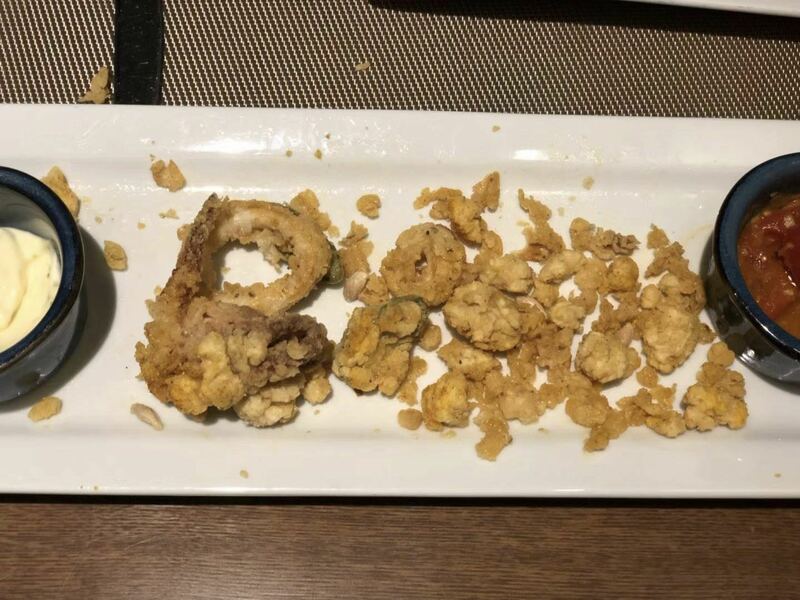 The worst dish of the meal was the Salt and Pepper fried tentacles, extremely oily, and looked like the scrapings from the deep fat fryer at the end of service. I have had far better Dim Sum at less pretentious restaurants in Shanghai. Normally, and I say normally in Chinese restaurants of this calibre one is given a damp towel, along with a cloth napkin, not at Imperial Treasure you don’t, you are given cocktail napkins? The service was generally efficient, somewhat robotic I felt. The toilet facilities were clean, as one would expect. Damages were 567RMB including service charge. Frankly, I would not want to detour back to Imperial Treasure any time soon. 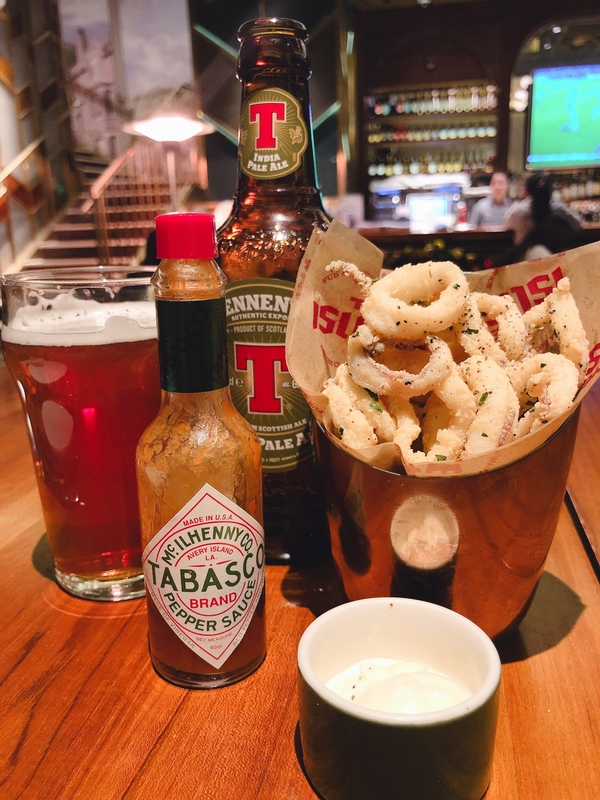 Being a Brit, I am rather partial to Indian food, well it is one of Britain’s national cuisines after all, and not just on a Friday night with a pint of larger either. I have dined at many of the Indian restaurants in Shanghai over the years, from the first Indian restaurant in Shanghai the Tandoor at the old Jin Jiang hotel back in the mid 90’s when I lived here last, then you needed an expense account to dine there, as the prices were astronomical. Since then a considerable number of Indian establishments have opened. But always venture back to my favourites and they are either Masala Art or their adjoining neighbour Masala Desi, formerly known as Good Times which serves a sort of upmarket street style of Indian favourites and been a regular since 2007, all the dishes are served from the same kitchen for these two establishments. For tonight’s dinner, I opted for their vegetarian Thali dish, which consisted of the following: saag paneer, chickpeas, brinjal, (aubergine) yellow dhal, aloo matar (potato and peas) all served in small copper pots (mind you, not too small) accompanied with pilau rice, along with a soft paratha, which helped to mop up the succulent sauces. Each copper pot offered a cross-section of India and their varying regional dishes from the sub-continent, and all delightfully morish, I accompanied the meal with a salted Lassi, and finished with a freshly made cup of spicy masala chai. I don’t think the kitchen had much cleaning to do on those bowls after I had finished my meal. 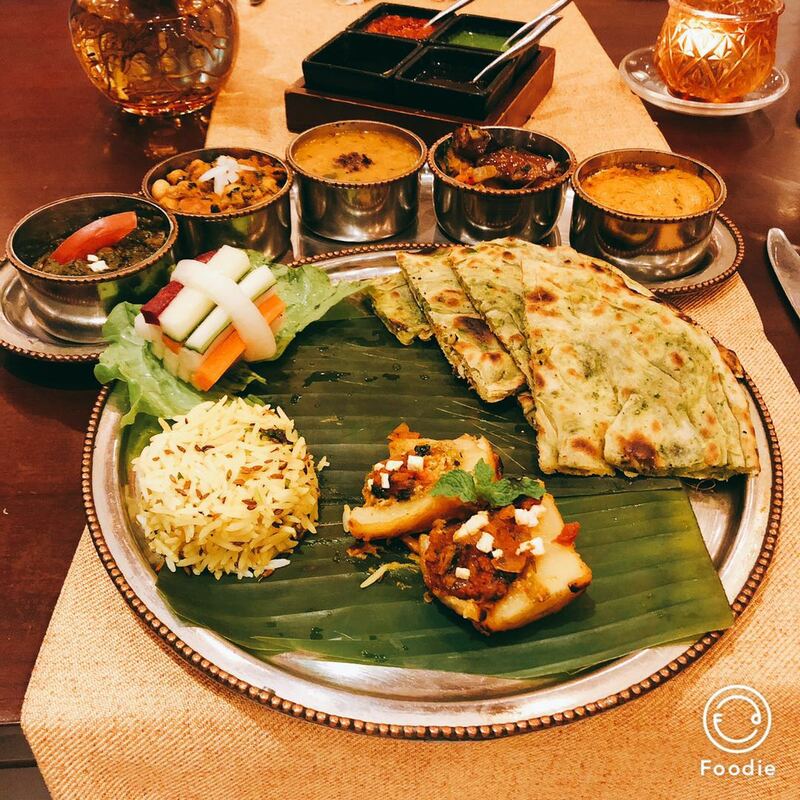 I can only recommend dining at either of these venues, for it will be a true passage to India and the culinary delights that the country has to offer, all for 188RMB. At 8pm on a Friday evening Goose Island Brew Pub was buzzing, so much so that we had to sit at the bar counter, not that this was an issue, just had to turn one’s head to see the action going on, which seemed to be a vast majority of small groups of office workers enjoying a Friday night out, and why not. The menu at Goose Island is like greeting a much-missed old friend, this is not food that pushes boundaries; it is very happy keeping to its own agenda, honest to goodness Pub Grub, although I detect someone may have been reading Louis Saulnier’s Le Répertoire de La Cuisine in describing some of the dishes, or used an Atlas for place names of dishes. Whilst deciding what to eat, we ordered a flight of ales, which are served in a cute medical style box with full on descriptions, along with a pint of their classic IPA, I ended up quaffing several of the remaining ales from the flight, as they were a little too much for my dining partner. 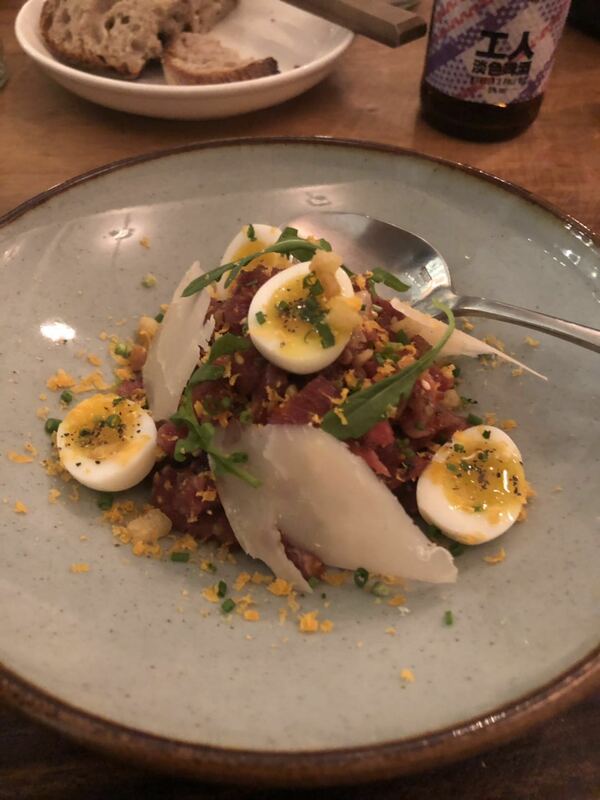 Started off with the aged Chilean wagyu tartare, served with Sofie bread, house pickles and topped with Honkers smoked egg yolk, great presentation, along with overall taste. 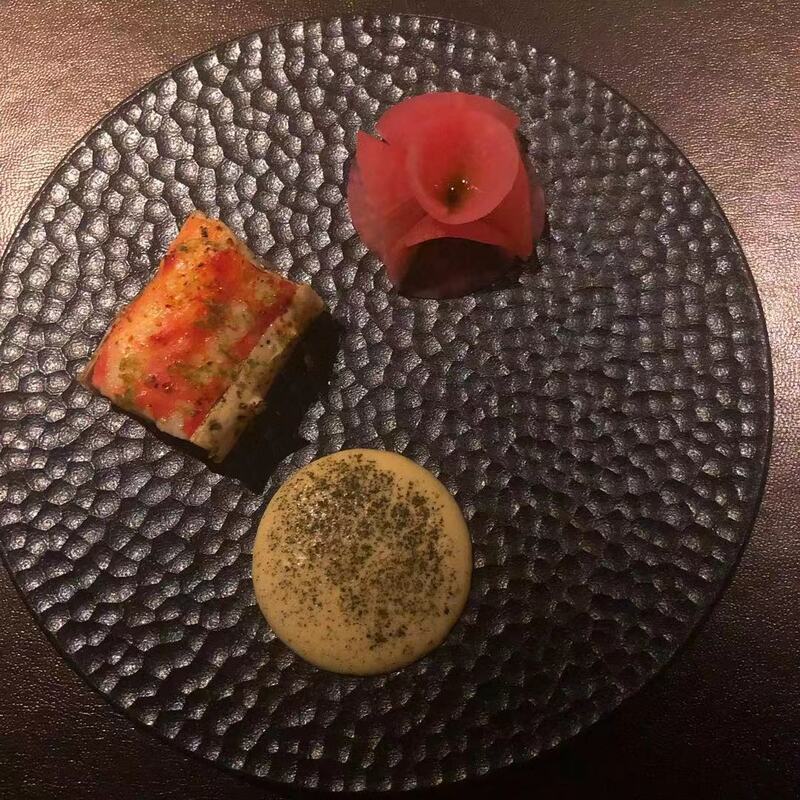 This was followed by asparagus on Himalayan Salt Slab, topped with an egg confit, pickled tomatoes and roasted red pepper cream, the presentation is super, as was the taste, one thing that was missing from the serving plate was the actual Himalayan Salt Slab (Kate & Kimi have these on sale). We had a craving for ribs, and just had to go with the 32-hour Bourbon barrel Smoked Spare Ribs, served with Bourbon County Stout BBQ sauce, the meat just fell off of the bone, the ribs had the right amount of smokiness which lingered through, we ordered an extra side of Pub Fries, these are Hand-cut fries served with filata (aka pulled or stretched cheese) and topped with light sprinkling of bacon dust, great to see that the restaurant is serving real potatoes. Considering the volume of business that evening, the wait staff were efficient, perhaps a little robotic at times, but overall friendly enough. I can certainly recommend Goose Island Brew Pub, it demands to be liked. 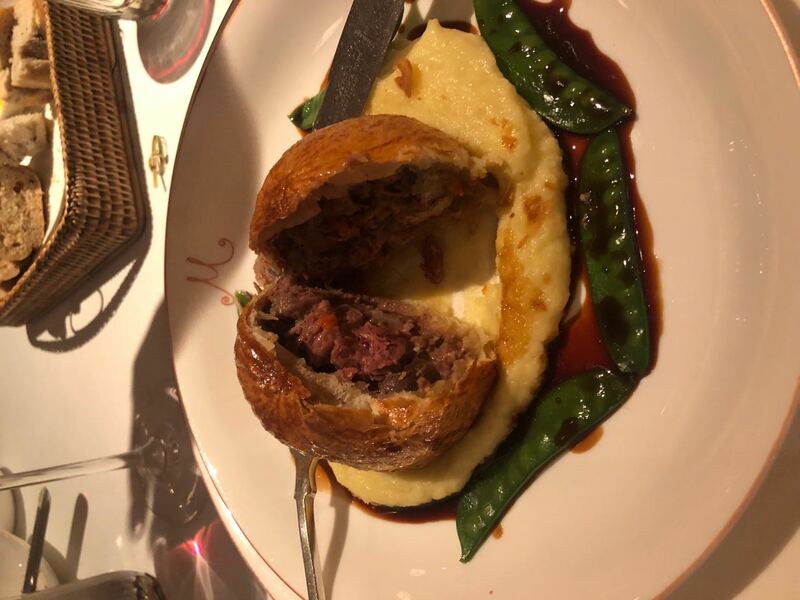 I have been fortunate to go to Roosevelt Prime Steakhouse on a number of occasions in the past, where one was guaranteed to have, dare I say a bog standard North American style steak and sides in the vein of a Morton’s, Peter Lugers, or the infamous Sparks Steak House. 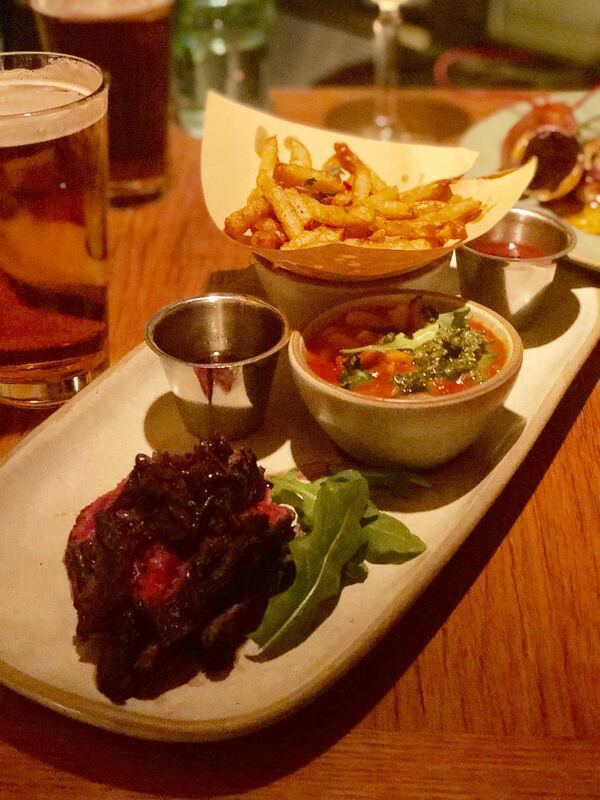 Sadly since relocating the Roosevelt Prime Steakhouse has not just lost its clubby atmosphere and veneer that it once had in the previous location, the food has taken a dive as well. I went along to see how this concept works, for the want of a better word in “a hotel coffee shop”, which is what the place is by day at the InterContinental Ruijin. I was a walk-in, for a table of one at dinner. 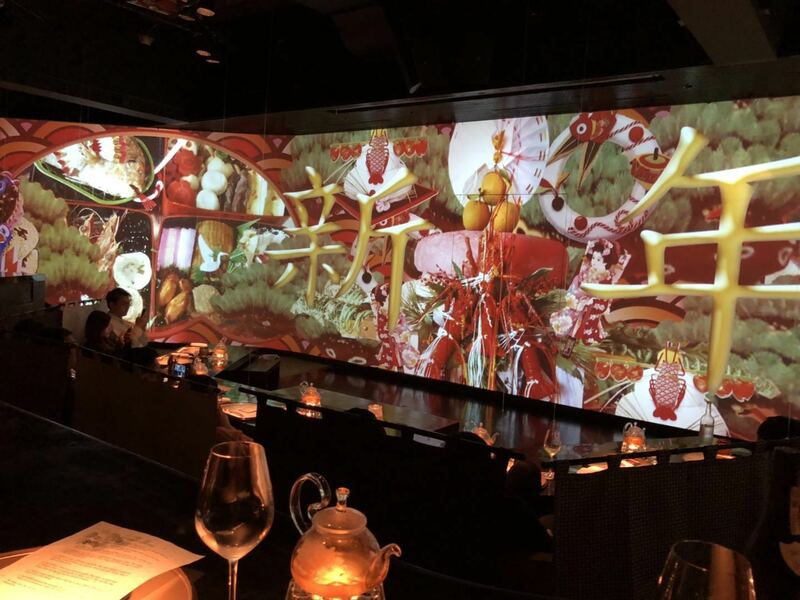 The area is partitioned off with screens, and several tables are decked out with white table linen, I think they were trying to create a little mood by having these screens. I opted to sit away from this area on a regular banquet seating, there is no vibe of the old clubby-ness of the former Roosevelt Prime, as the venue is rather cavernous. I ordered a Caesar salad, such a basic dish, in its original form, this salad was prepared and served table side, sadly not on this night, a rather oversized soup plate was plonked down in front of me, with a watery sauce, and rather large dry croutons, which had seen better days, the dish was a far cry from what Caesar Cardini created all those years ago during prohibition. On to the main course, I ordered a 330grm New York Strip steak, aka Sirloin or the classic French cut of an Entrecôte was what it was supposed to be, I asked for medium rare, the steak came more medium to well, full of gristle, and this was supposed to be US Beef, I have had better Chinese Beef from Qingdao. 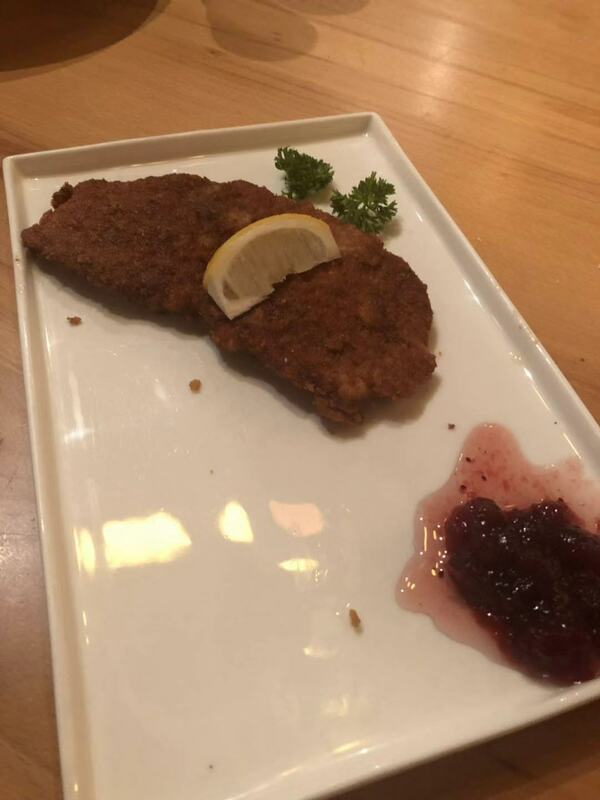 I left most of the steak, a waiter came over and inquired whether anything was wrong, I said the steak was over cooked and tasteless, I was offered a complimentary dessert to which I declined, why do restaurants offer complimentary desserts when the main course is shite, and they can see that most of it is left. During the meal I had two thimbles (well small pours) of overpriced non-descript wines by the glass, a glass of white from France and glass of Spanish red. Service was slow at best, certainly no attention to detail, bread basket appeared to be what were once rolls, only sliced. 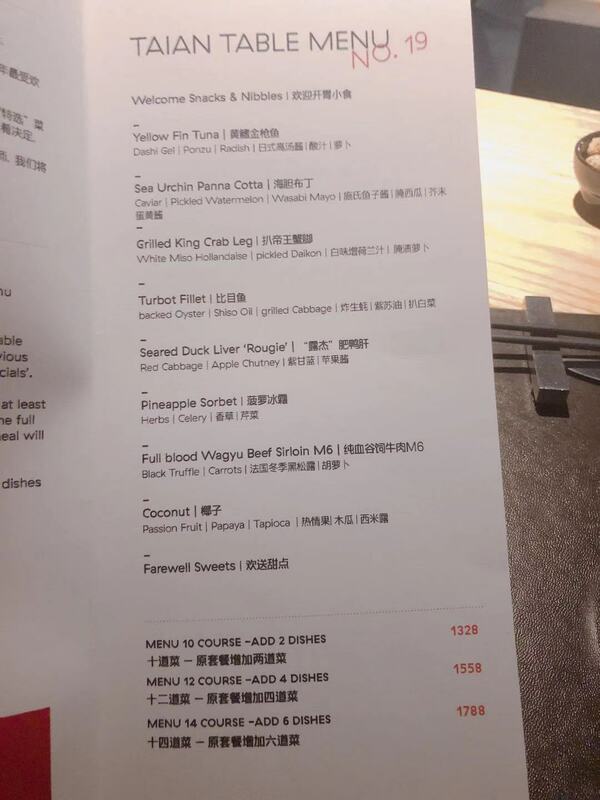 Damages for a table of one, a mere 745RMB. 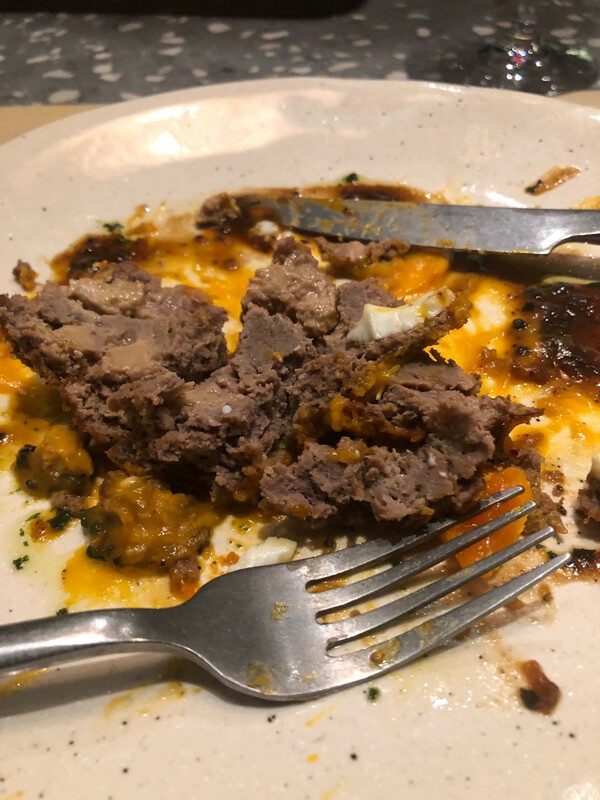 Needless to say, I won’t be going back, and certainly would not recommend either, as Roosevelt Prime Steakhouse has become so passé. You see the restaurant, then you need to find the entrance, which is somewhat confusing, then you enter what seems to be the back of the restaurant, one does not get a sense of arrival, except a hostess stand with no host? … was able to grab the attention of someone behind the bar, who in turn found a waiter to take us to our reserved table? 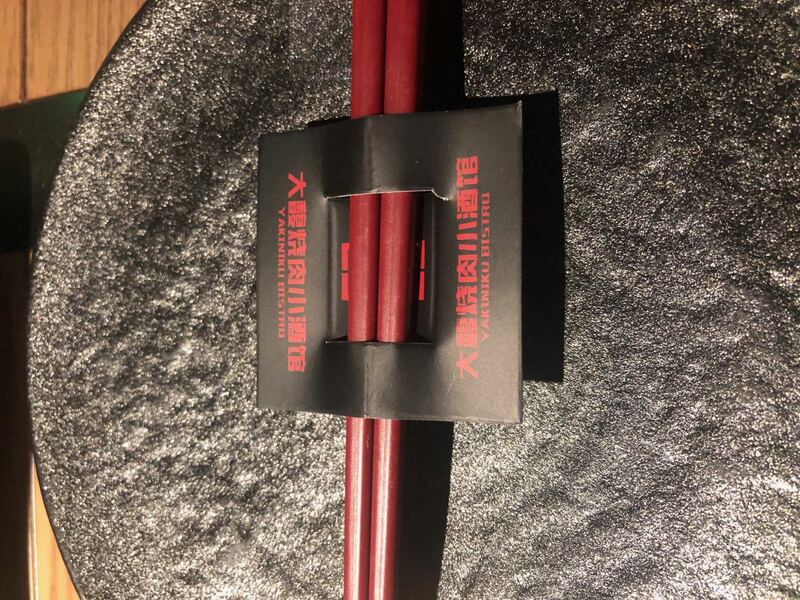 What’s with all the new restaurants in Shanghai with these low kiddie style dinning arrangements, accompanied by what seems to be children’s cutlery. The table needed to propped up by a wedge of paper napkin to stop the wobble. The plates that one eats one’s food off are heavily scratched, and instead of a full napkin, you are proffered several cocktail napkins, good job my father always taught me to carry a handkerchief, I used this as a full-sized napkin. The music is far too loud to hold any form of conversation. There’s less than an aspiring wine list of wines by the glass, coupled with the 5oz measures, which did not quite measure up, opted for two glasses of mediocre Rose, then proceeded to order several dishes, which were accompanied another two glasses of mediocre 5oz Spanish wines by the glass. Foie Gras and Malt – lots of whipping going on with this dish Smoked Eel Liver Ears – interesting concept Spiced Shell Crab - The star dish of the evening Duck Breast – must have a bloody small duck three bite size pieces and tough as old boots. Bread basket which you are charged for – totally uninspiring selection of dry bread, good job they offer water by the glass for free! 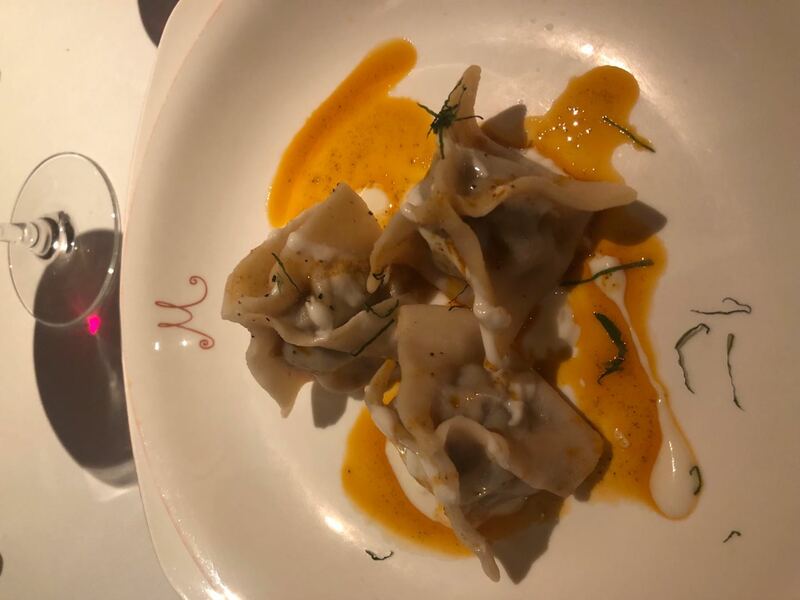 After reading so many positive reviews of Blackbird, I left underwhelmed and unsure what the venue is trying to be, perhaps many of the millennial snappers dinning there do, I certainly won't be returning. 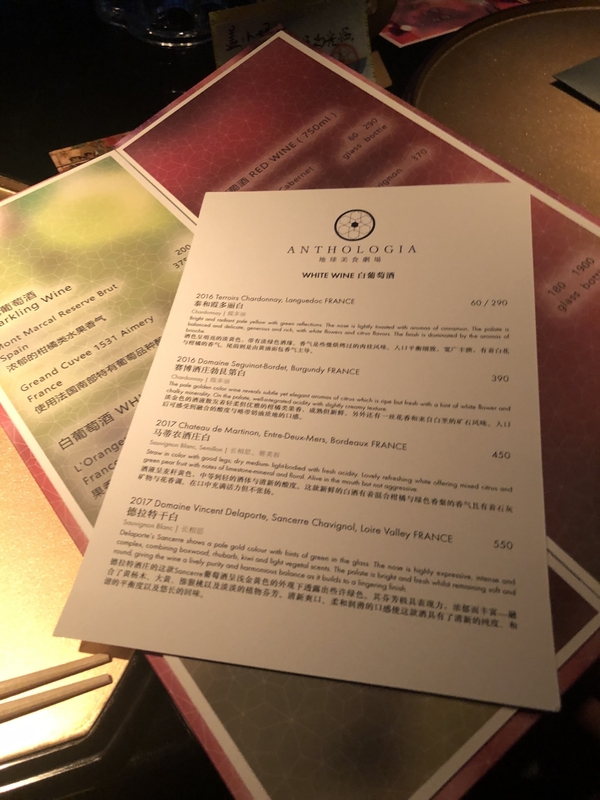 Went along to the recently opened Shanghai Tavern at the Edition hotel, or the Western restaurant, take your pick on the names. I would have that thought they would have included 上海 in their translation, oddly enough the rest of the menu is all in English? 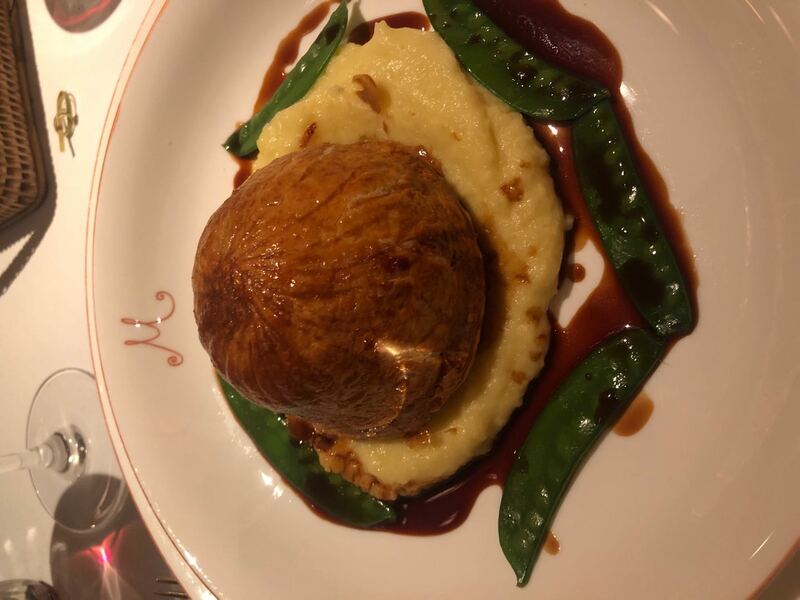 Opted for the following: Traditional pork pie: no jelly to be found, the dish was ok, the pastry passed the test but overall more akin to a Pate en croute than your traditional pork pie! 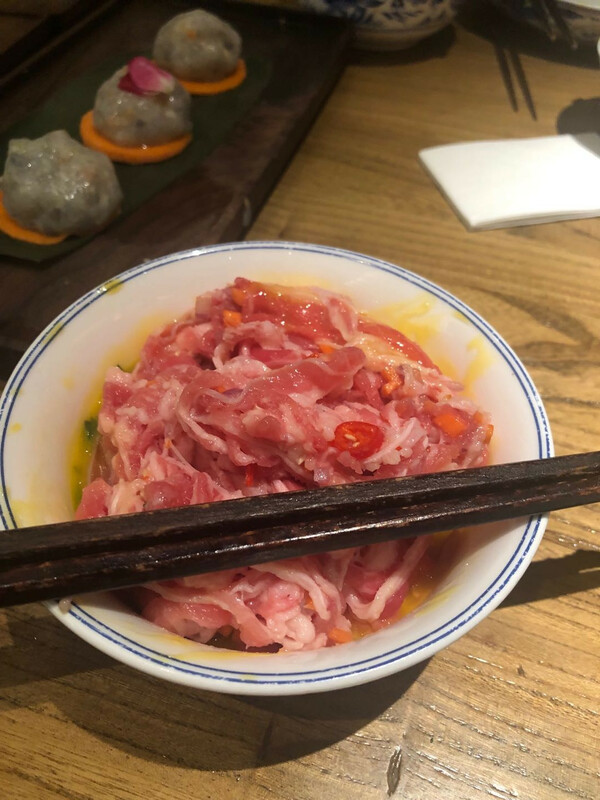 Beef tartare: This was exceptional, one of the best that I have had in Shanghai, and comparable to Villa Le Bec’s tartare. Fish & Chips: large portion of fish, really minty peas, chips were disappointing, why serve shoe string potatoes, when the classic fish & chips from any UK high street would be large thick cut chips. 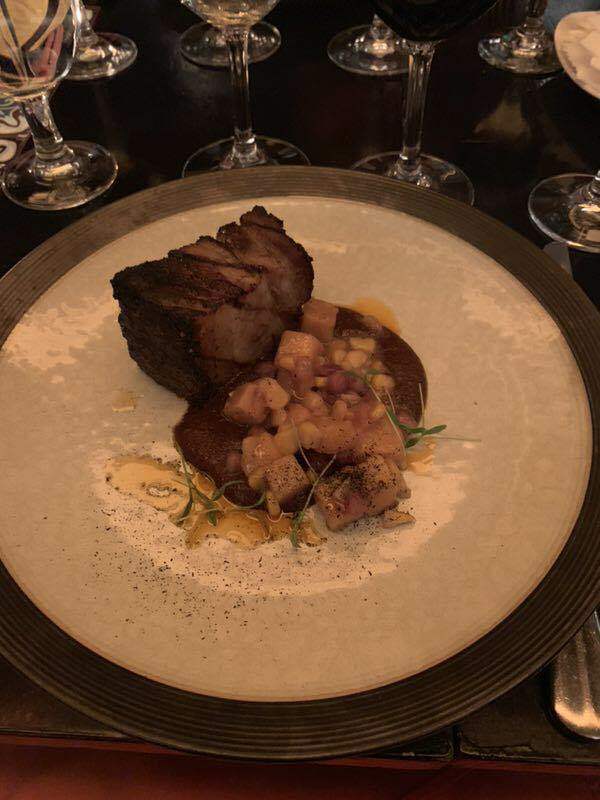 Rib Eye steak accompanied with lobster maître d’hôtel butter: ordered medium rare, the cooks know what they’re doing here, the temperature of the steak was perfect granted, one is only paying 248RMB +15% for this dish, why no indication of the weight of the cut of meat on the menu. Why is it that even with the likes of having Ian Schrager / Marriott behind the hotel, designers still can’t get the banquette seat height ratio correct to the dining chair, nor any back support on the banquette, I wonder what the original American architect, Elliot Hazzard of the building would have had to say on the area now. 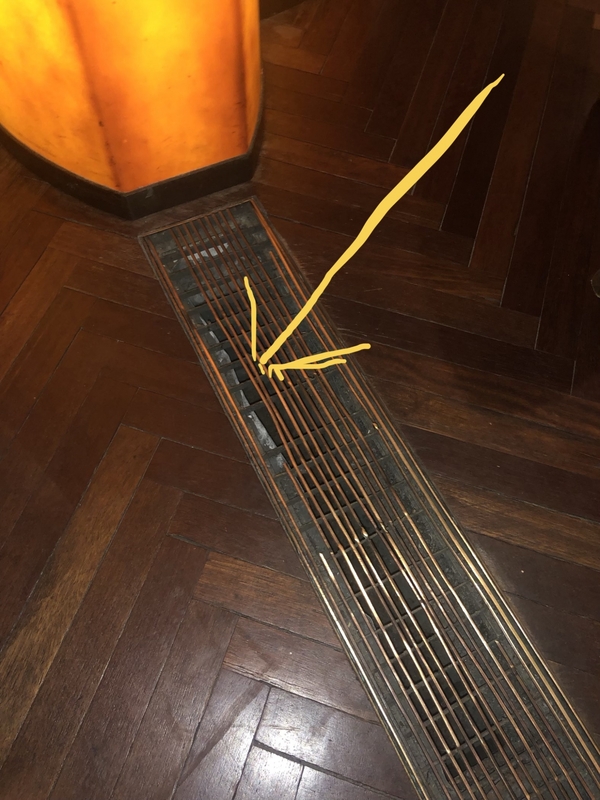 Granted the hotel recently opened, but when asking for a fapiao the response was that finance was off on the weekend, with all the Marriott group hotels in Shanghai one would have thought that the required fapiao machine and documentation would have been in order to operate. The dining room is cavernous and reminded me of a dining room at a Bahnhof, and at 18h30 on a Saturday the music was far too loud for conversation. 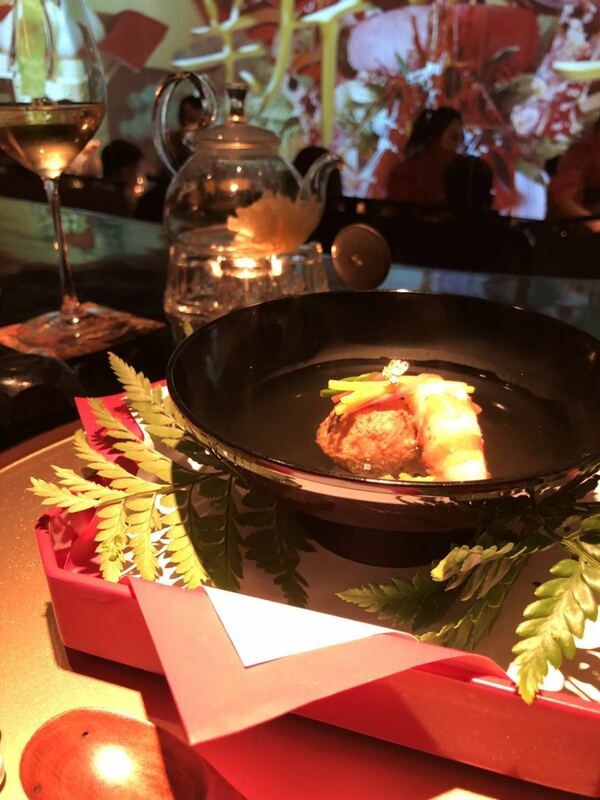 The service was impeccable, overall ok as a venue, not cheap 1,300RMB for two, and yes, I would go back. Thought I would give the much-touted Columbia Country Club compound that is sandwiched between Yan'an Xi Lu and Panyu Lu, a second shot. I was somewhat reluctant to venture back, having had a poor experience at another of the restaurants within. My arm was twisted by a fair maiden, what more can one do, but acquiesce. Arrived at around 19h30, through what appeared to be the back door of the restaurant? “Shanghai Sign writers” aren't making much money these days, they could make a fortune on directional signage. There were just two other diners seated within the rather large Parlour. Oh dear I thought this does not bode well, especially when “three doors down” Inkwood was “chock a block”, did we choose the right venue for dinner I am saying to myself. We were seated at a table, with chairs at the right height to table ratio, wonders never cease! Offered the menu, and drinks list by a charming young waitress called Cathy and opted to start with drinks, a glass of Prosecco and a glass of Santa Rita Sauvignon Blanc, both were served at the correct temperature, the pours were generous, and price point spot on for a change. Seeing the many reviews from other social platforms, decided to go with what seemed to be the most popular dishes. Wishbone fried chicken wings, Vietnamese style of serving with a tangy dipping sauce, with a mix of crunchy pickled beetroot and radish on the side, which makes a change from the usual fare around town of serving a blue cheese dip with wings. Unsure why they call them wishbone though, a bit tough and dry. Tuna Tartar, now any time one reads a menu, you conjure up what you think the dish might resemble, this dish was actually pretty dam good, two slices of what appeared to be compressed rice cake, topped with the chopped tuna and to round off a quail’s egg atop, could have done with just a little more seasoning of salt in my opinion. Mortadella Pizza, what more can be said it’s a thin crust pizza with a Curly Wurly topping of pistachio sauce. Beef Dripping chips, served with Kimchi sauce, not bad, at least they were once thick cut potatoes, none of your shoestring jobbies. A further three glasses wine, this time a Shiraz from Down Under, again decent pours and affordable pricing To end, a white chocolate parfait, just right and well presented, the chef is obviously talented in this department. We were there for about two hours, delighted to see other diners coming in and enjoying the fare, and cross section of folk. Great selection of music, sort of throwback to the 70’s and 80’s sounds of Philly and Motown music played, and not blaring out. Overall a good impression of the venue, certainly value for money at 636RMB for two, just a pity there were not more punters on a Friday evening, but then again it was raining. I would certainly recommend. Having experienced Commune Social, and knowing that Together was from the same stable, was really looking forward to dining at this much touted venue seeing all the rave reviews. 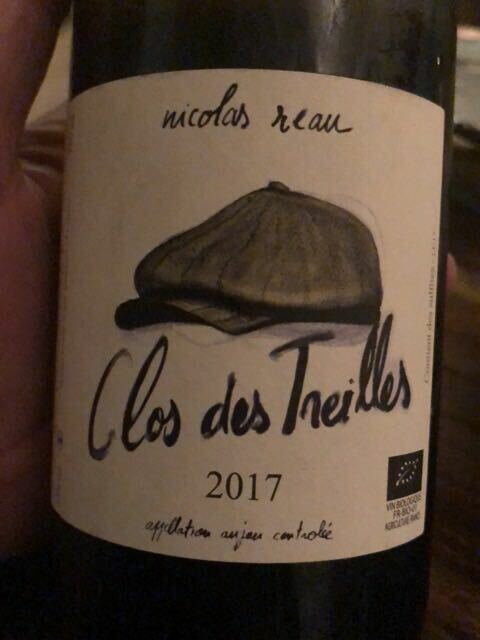 Started off with some mediocre wines by the glass, there are not that many to choose from and the price points, well for the pour they remain forgettable. Ordered the following, as these were what seemed to popular on all the social media sites at present. Crab Dashi – heavy set in jelly, unlike the image posted and lackluster in taste. 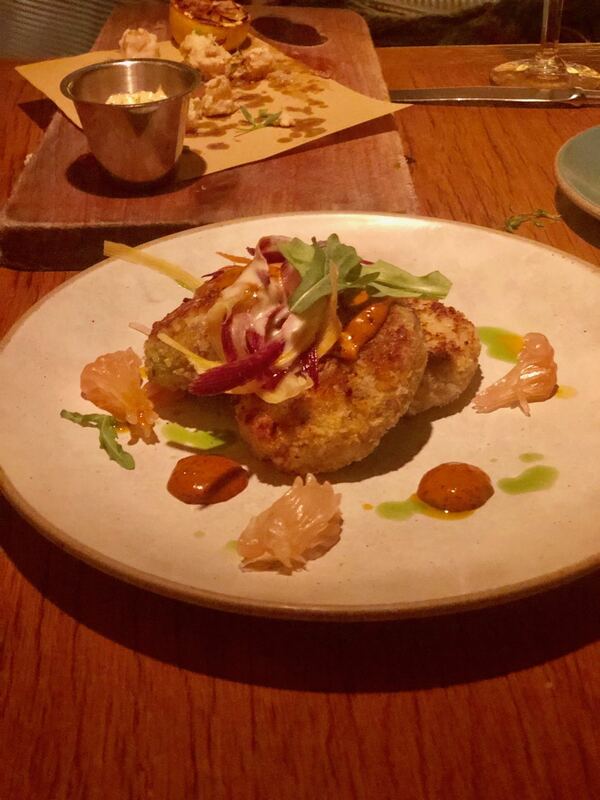 Australian Wagyu beef tartar – lacked depth, needed additional seasoning, too much went into the presentation. Octopus, gochujang, crunchy crumbs – once you scrapped of the vast amount of blackened crumbs away the octopus was actually soft and tasty, so too much of a breadcrumb coating. Tournedos pork (really belly pork) with pepperoncini sauce - despite being belly pork, this dish was succulent, but could have additional sauce on the side, the dish was accompanied with side of Endives & Radicchio, it’s known that an endive can be at times bitter in taste, but coupled with a dark bitter sauce did not help! Ordered another side to go with the main course of roasted new potatoes, these were excellent. If one is going to use French kitchen terminology for a dish i.e. Tournedos, then make sure that cut is in fact a Tournedo, and not a strip of belly pork. Bread bag - nothing special, the whipped butter, topped with sea salt, sadly the butter had been pre-prepared and left open in a fridge, you get that distinct taste of a fridge permeating through the butter?